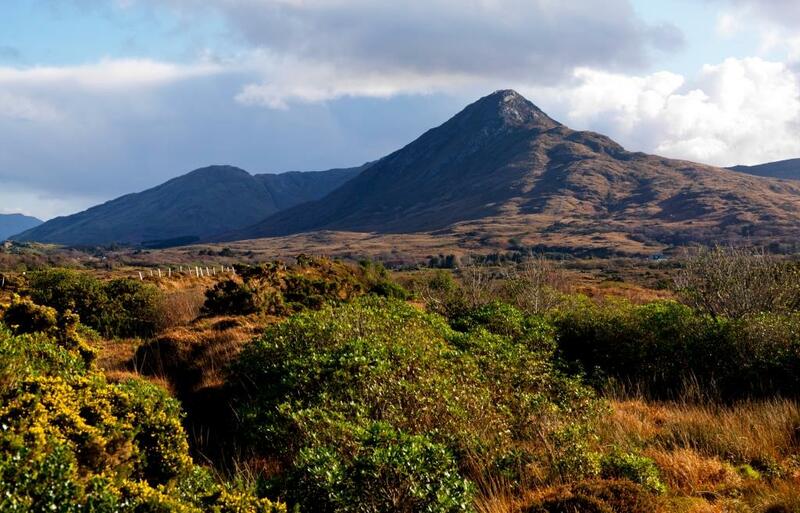 Experience Ireland - Page 2 of 7 - Our favourite things to see and do in Ireland! 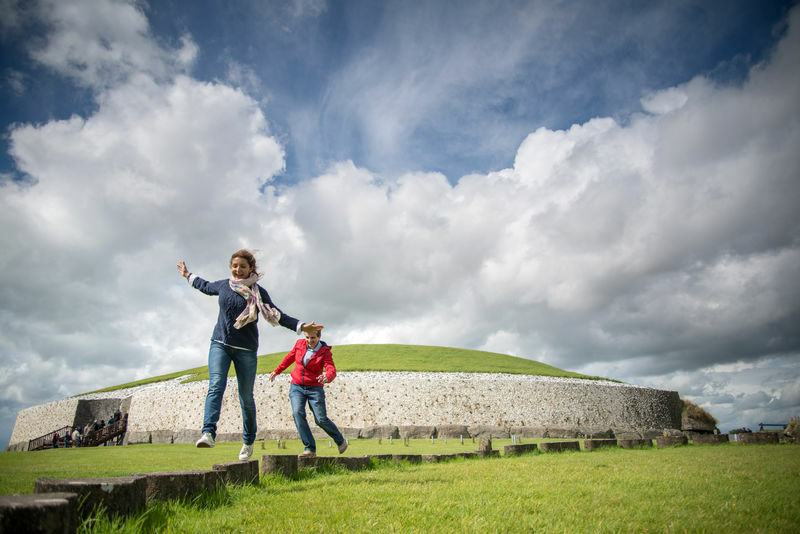 This month’s blog gives you the opportunity to learn about some of the Top 10 Things to Do on Ireland’s Ancient East. Ireland’s Ancient East starts on the south of Ireland by Cork’s Spike Island and takes in Cahir & Kilkenny Castle, Rock of Cashel to the Boyne Valley, Newgrange and Glendalough on the East Coast through to the northern region of Ireland to counties of Cavan and Monaghan and much much more in between. The aim is to have a memorable experience while on the trail & you will gain inspiration from the places that will map your journey. Discover the legends and stories and let you discover your own Ireland’s Ancient East! Dublin is an excellent base to plan your immersive journey on Ireland’s Ancient East. Dublin is a city that is full of history with tales and stories. 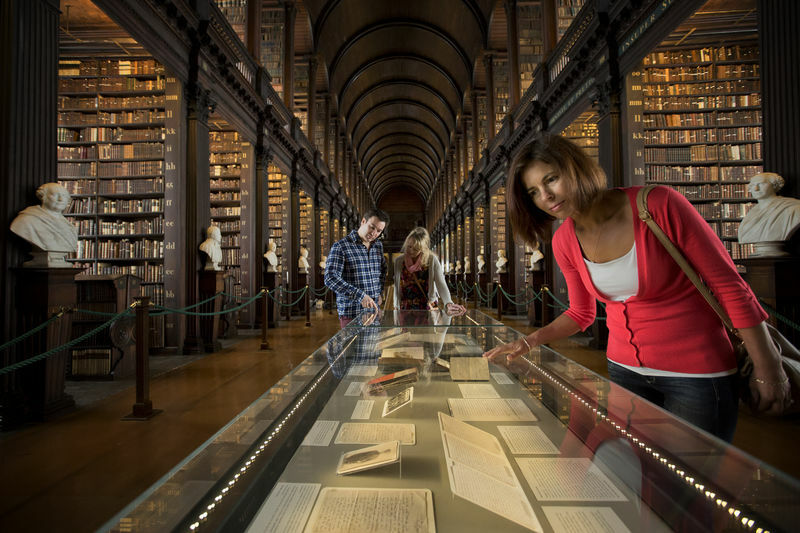 With an abundance of history here, take a guided tour of Trinity College and see one of Ireland’s great cultural treasure in the Book of Kells. Along with its many more popular renowned attractions Guinness Storehouse, James Joyce Museum, Christchurch Cathedral, Kilmainham Gaol & Glasnevin Cemetry, the options are endless for you. Glendalough is one of the top things to do on Ireland’s Ancient East and is one of the most important monastic sites in ancient Ireland. St. Kevin founded the Christian monastic settlement in the 6th century; from there developed into what could be termed a “Monastic City”. What you will see presently are buildings that survive from the 10th to the 12th century. 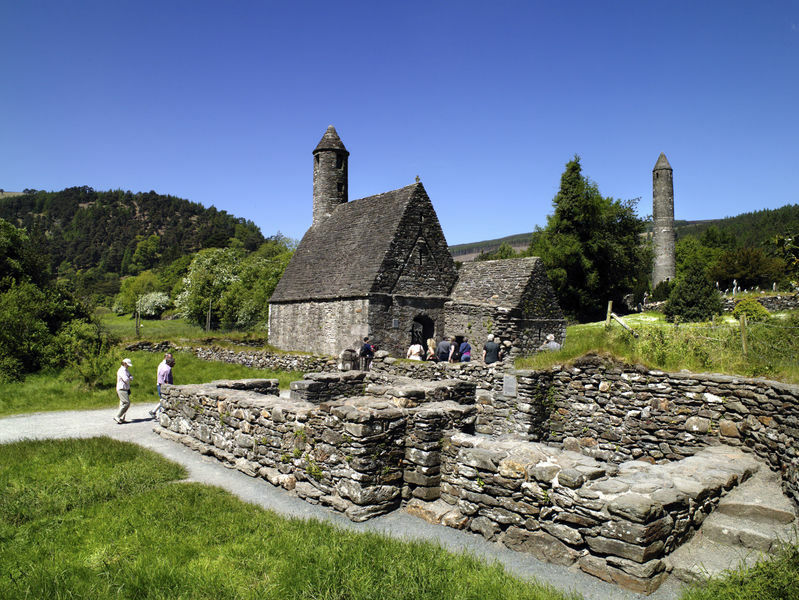 In spite of various attacks from the Vikings, Glendalough thrived as a great foundation for learning until the Normans destroyed the monastery in 1214 A.D. Also close by to the monastic settlements you can visit the visitor centre and listen to the audiovisuals and see the model monastic city on display. When you think and imagine ancient Ireland, Newgrange is one of the things that springs to mind immediately. This is one of the main attractions that can be found on Ireland’s Ancient East trail and within one hour of Dublin City Centre. The attractions also include Knowth & Dowth but to get to these you will need to go to the visitor centre via a short bus journey. 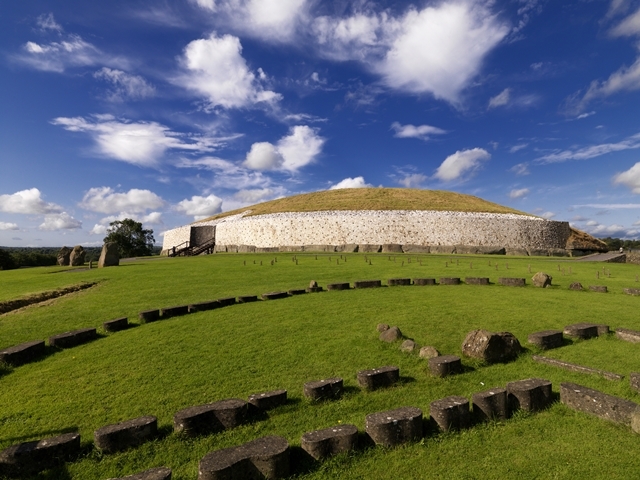 Newgrange is the only attraction that is accessible to the public with a chamber. Newgrange is really popular during winter solstice but to get tickets for the event is challenging but worth going to watch for the memorable experience. 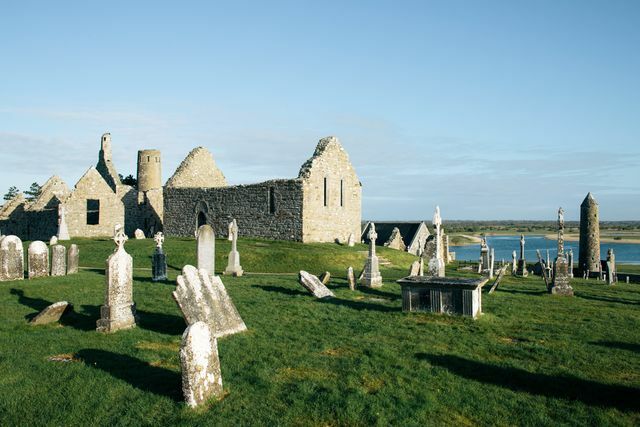 Clonmacnoise is located near Shannonbridge in County Offaly and is a top attraction on Ireland’s Ancient East trail. Wander through the ruins and it will give you images of the saints and scholars of Ireland’s Golden Age of learning. 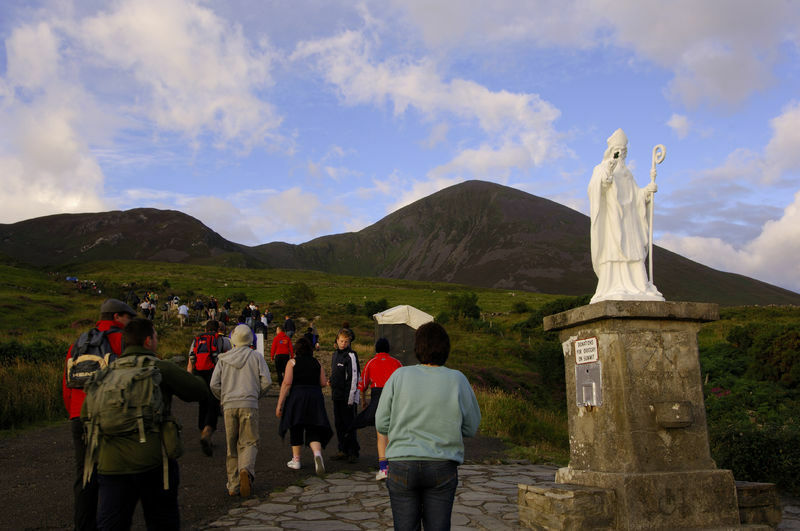 Founded by St Ciaran in the 6th century, it became a special place for learning and religion. Clonmacnoise is full of heritage and tales to capture your imagination. You will find ruins of round towers, graves, churches and celtic crosses. 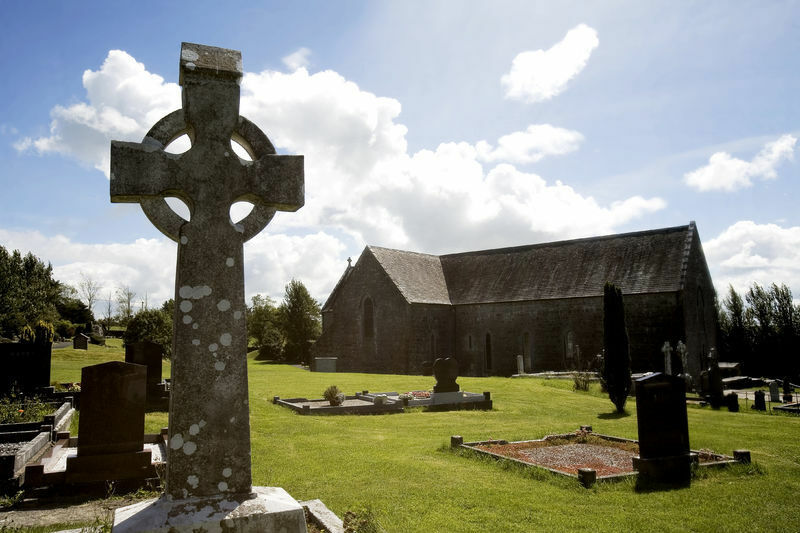 The Clonmacnoise graveyard is still in use and religious studies are regularly held on site in a modern chapel and was visited by Pope John Paul II in 1979. 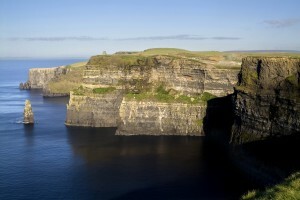 Visiting will give you a true feeling of the history of Ireland. 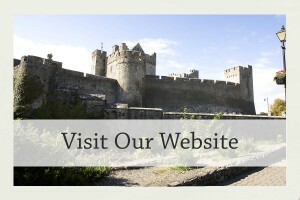 A great place to visit on Ireland’s Ancient East trail is the historic medieval city of Kilkenny. In the heart of the city is Kilkenny Castle and its gardens. As you enter the castle, it can feel like you are stepping back in time to the 12th Century, which has been remodeled and restored to its 1830 state. 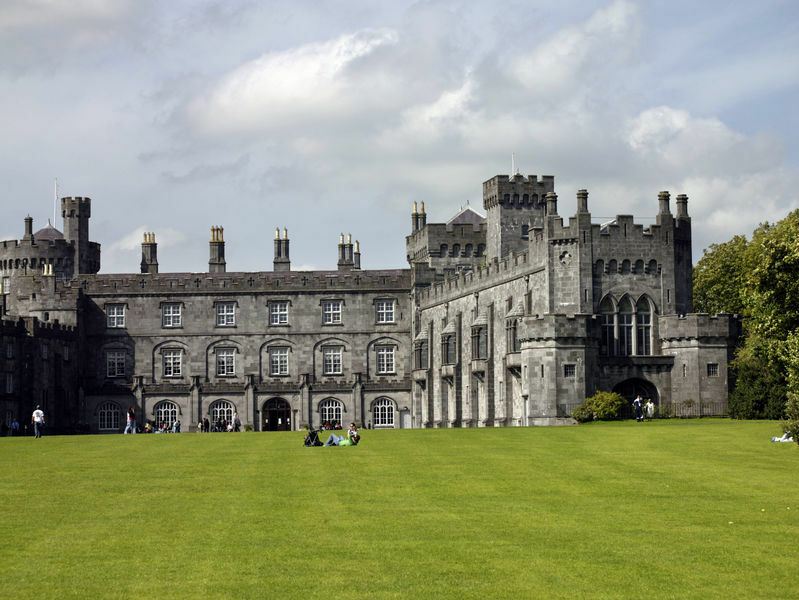 Kilkenny is strategically situated on the River Noire and dominates the “High Town” of Kilkenny City. 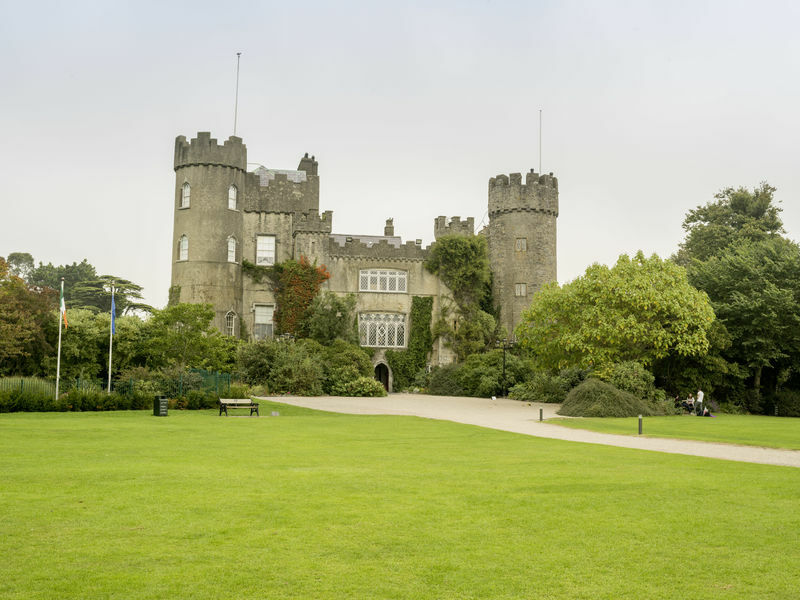 With its beautifully maintained gardens and surrounds, Kilkenny Castle makes for the perfect attraction and to get romanised and transported to medieval times. 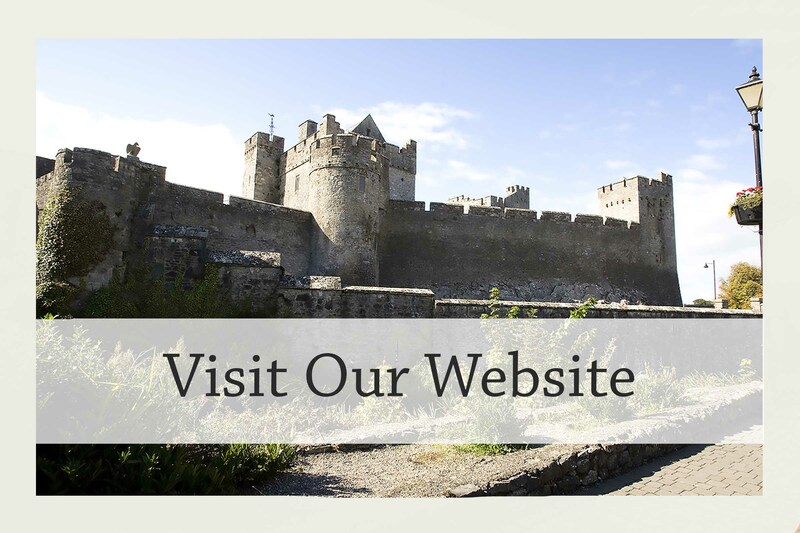 Also, the castle is the start of the Medieval Mile in Kilkenny City which takes you on a journey through the heart of the city to St Canice’s Cathedral to the famous Smithwick’s Brewery. This is a stunning group of buildings of the medieval style set upon looking over the town of Cashel Co Tipperary in the area known as the Golden Vale. 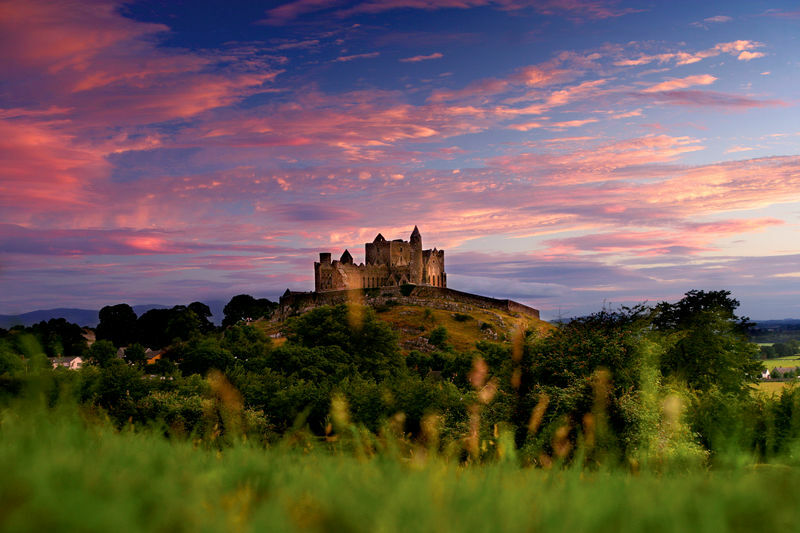 The Rock of Cashel consists of a 12th century round tower, High Cross and Romanesque Chapel, 13th-century Gothic cathedral, 15th century Castle and the restored Hall of the Vicars Choral. 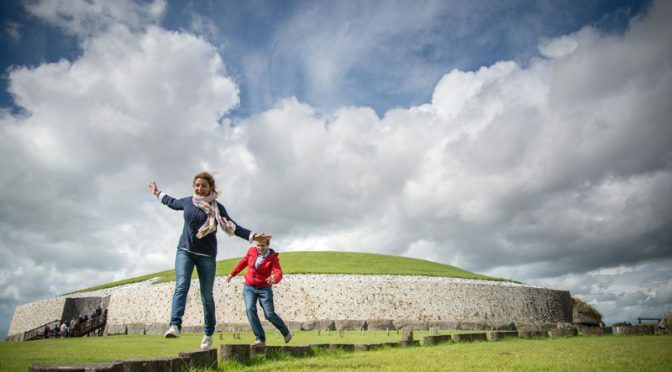 This attraction is one for everyone to put on their to-do list when traveling Ireland Ancient East. The attraction comes with audiovisual shows and exhibitions. 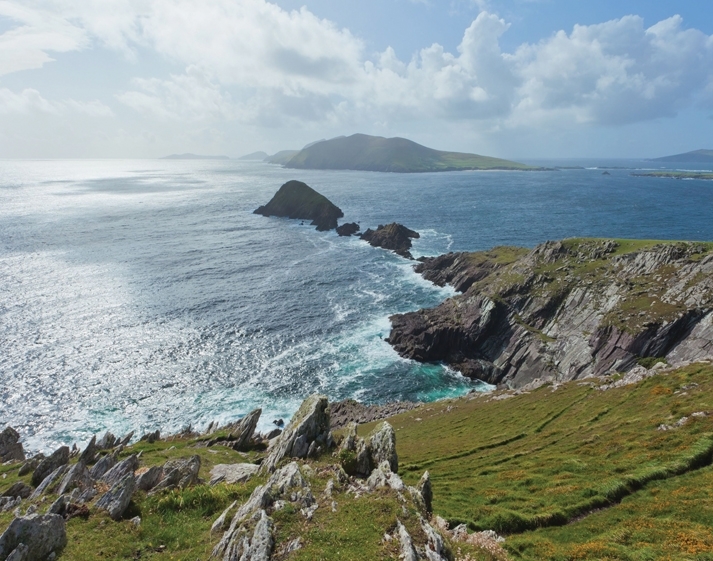 Spike Islands is a Winner of Europe’s Leading Tourist Attraction 2017 at the World Travel Awards! Spike Island is located off the town of Cobh County Cork. It has a varied history over the past 1300 years from being a 6th-century Monastery, a Fortress and during Victorian times, the largest convict depot in the world. 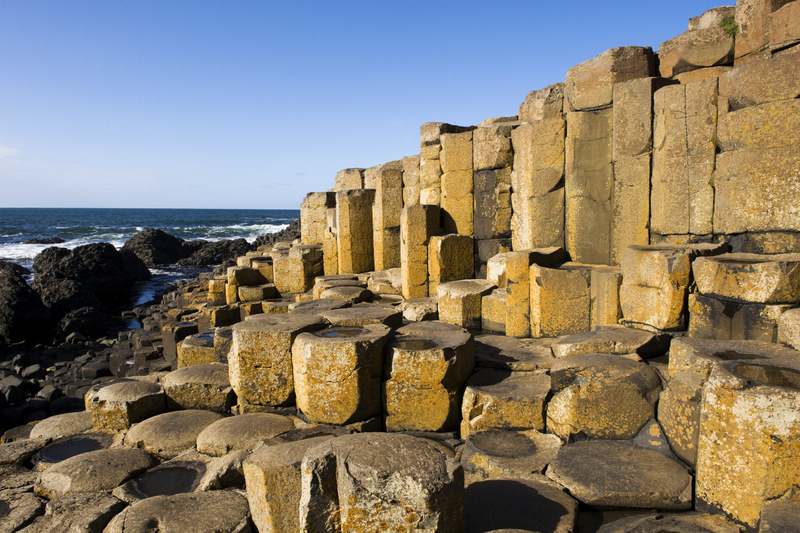 With the rich history, there is something for everyone and learn about Ireland’s ancient past. Habitants on the island have included monks and monasteries, rioters and redcoats, captains and convicts and sinners and saints. Why not take the scenic ferry ride from Kennedy Pier in Cobh and enjoy the guided tour of the island and enjoy the surroundings while enjoying the views from the café. Carrickmacross Workhouse is located in the northern location of Ireland’s Ancient East in the heart of the historical barony of Farney in County Monaghan. 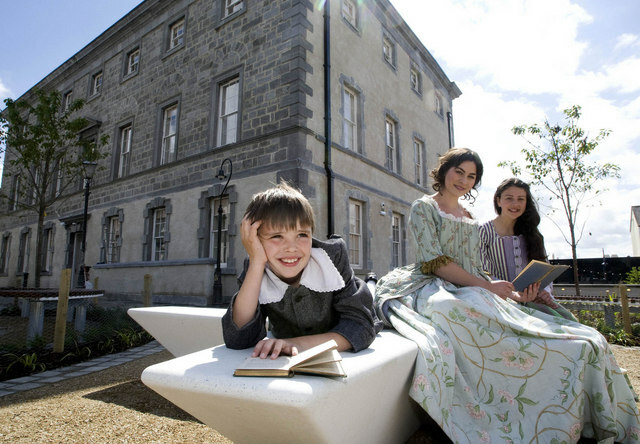 This Workhouse has been meticulously restored and tells a lot about Ireland’s history and heritage during that time. The reason for building these workhouses was for the poor of Carrickmacross town and the nearby parishes of Donaghmoyne, Inniskeen, Killanny, Magheracloone, Magheross and part of Bawn in 1841. During this time in Ireland population was close to 9 million with 3 million living in a state of destitute due principally to the evictions by British landlord. Carrickmacross Workhouse was one of a total of 130 built between 1841 & 1843 to house poor in society. In order to enter the Workhouse, you had to surrender any land where living conditions were poor and rules were strict and families were separated and forbidden from seeing each other without prior permission. The food was poor, and the hard physical work had to be undertaken. For people admissions to the workhouse became a last resort in life and became known as a “Poor Man’s Jail”. Definitely worth a visit if you want to immerse yourself in Irish History. One of the “Hidden Gems” of Ireland’s Ancient East and a top thing to put on your itinerary if you are in the area. The Cavan Burren Park is located in County Cavan. 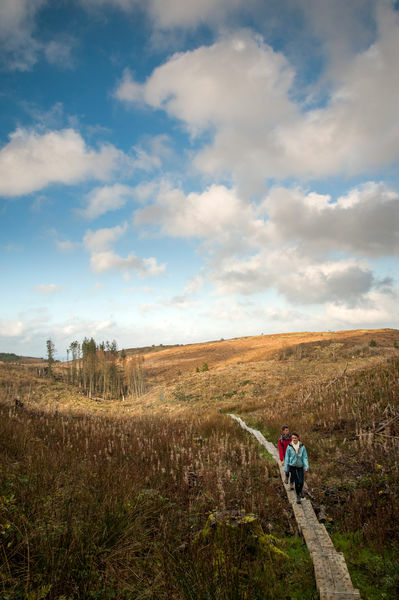 This park opened in 2014 but has been here for centuries before that, this is a perfect attraction if you are interested in the outdoors and with a good pair of outdoor footwear you can explore the glacial boulders, rock art, and explore the ancient times of Cavan Burren Park. It is certainly worth the journey and it is away from the traditional tourist trail so you will not be caught in the midst of huge crowds. What will attracts you here is mainly the natural landscape with sights such as the Giants Cave constructed over 4,000 years ago. 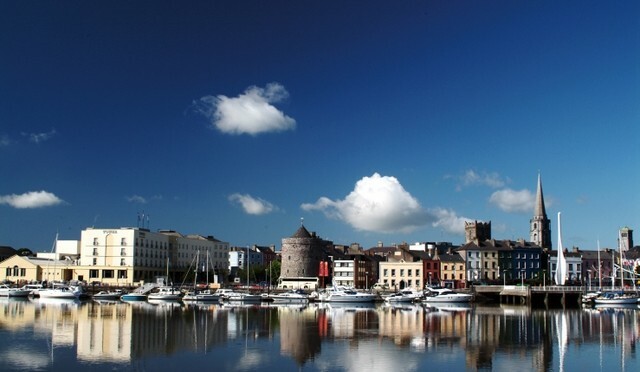 Waterford’s Viking Trail is located on the “Sunny South East” of Ireland. 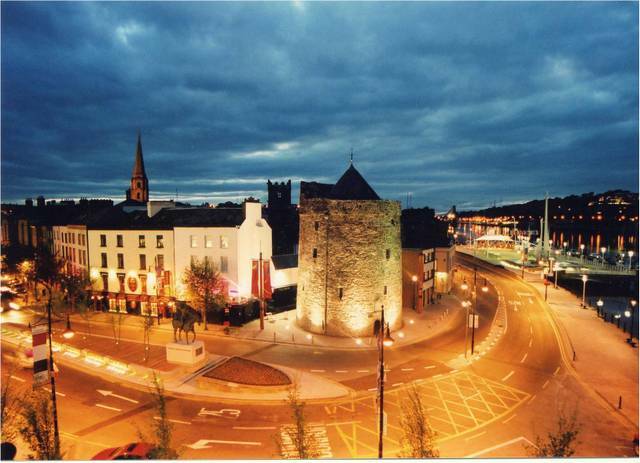 Waterford is Ireland’s oldest cities and only city in Ireland that Oliver Cromwell did not conquer. The cities Viking Settlement date back to 914. 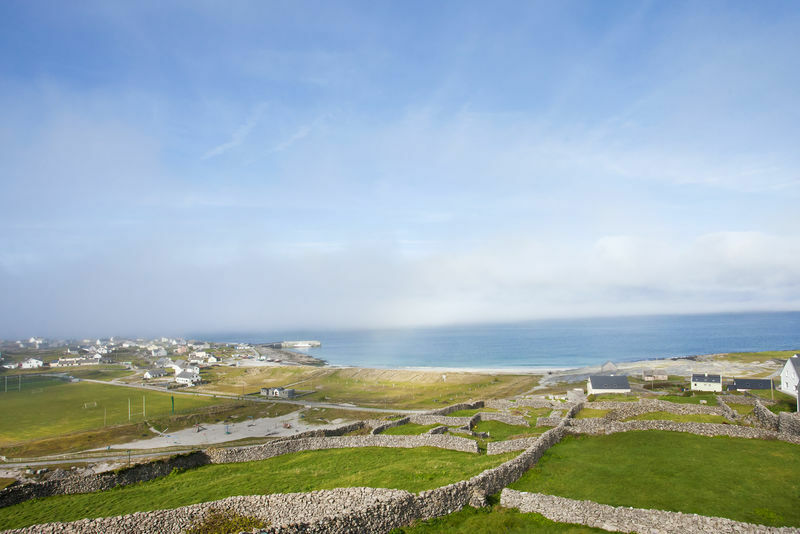 Visit Reginald’s Tower where you will get a chance to see the full set Viking weapons that have survived in Ireland. To learn more about the Viking Trail, visit the Medieval Museum and immerse yourself in the Viking era in Ireland. 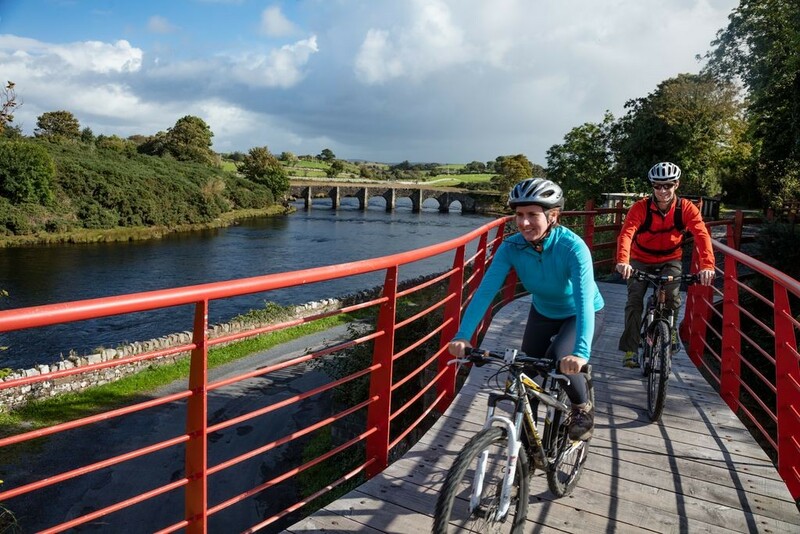 The Waterford Greenway opened in March 2017 and is an excellent attraction to the Waterford region and to Ireland’s Ancient East and definitely one of the top things to do while exploring the “Sunny South East”. 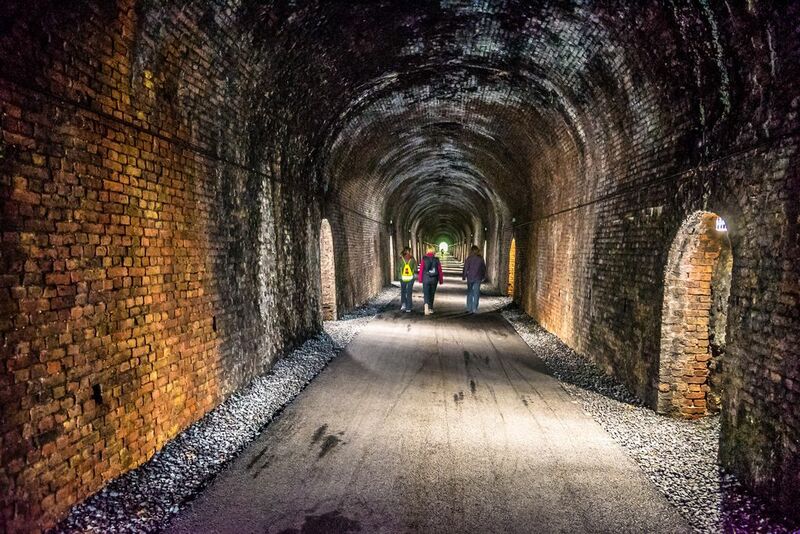 It is 46km of off-road cycling and walking trail along the old railway line. 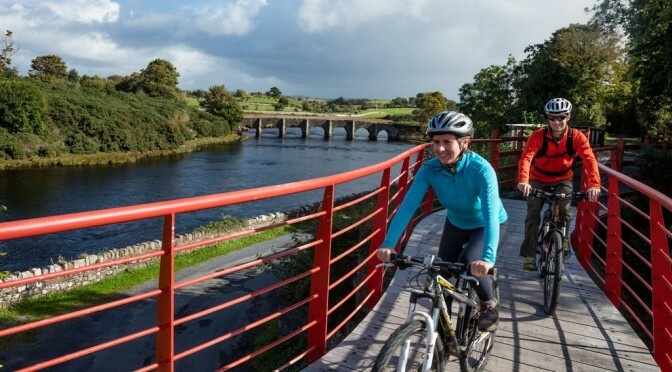 This route will give you the chance to experience the natural landscape of Ireland while your journey takes you across three viaducts from the river to sea. The best way to learn about Ireland’s Ancient East and explore the surrounding places that are on the trail is to visit by yourself. 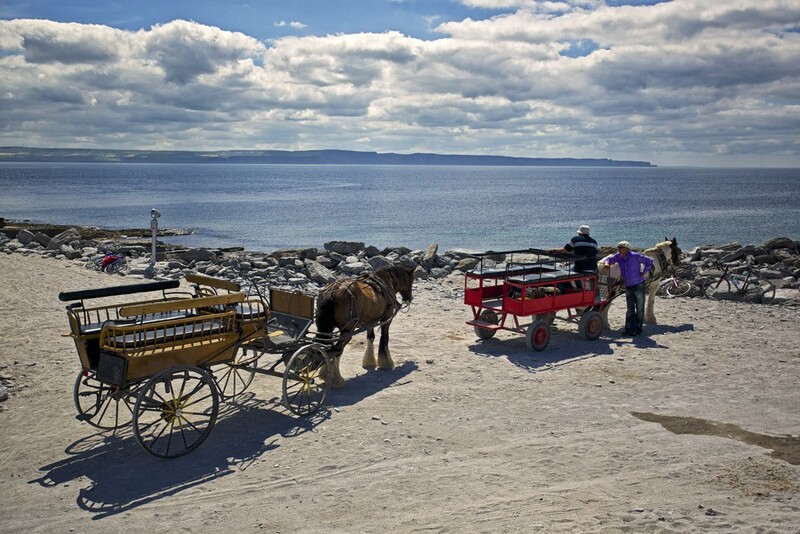 Contact us today for a quotation from our dedicated travel advisors including some or all of these locations – We can tailor your itinerary around what we have to offer on Ireland’s Ancient East Self Drive or Chauffeured tours. This month’s blog gives you the opportunity to learn about some of the “Best Day Trips From Dublin” city centre. All of the day trips are accessible through public transport or your own self-drive vehicle and all journey times are within one hour of the city. These attractions offers a chance to explore the fantastic scenery, views over Dublin Bay and the Wicklow mountains. Grab some traditional Irish food and drinks while enjoying the local ambiance and famous Irish hospitality. We can customise your trip to suit your needs and wants & create your own unique experience in Dublin and Ireland that will make it your dream holiday while here. If you book a trip with Irish Tourism your itinerary will contain directions and details to all the attractions and give you all the information for booking DART rail & bus travel. 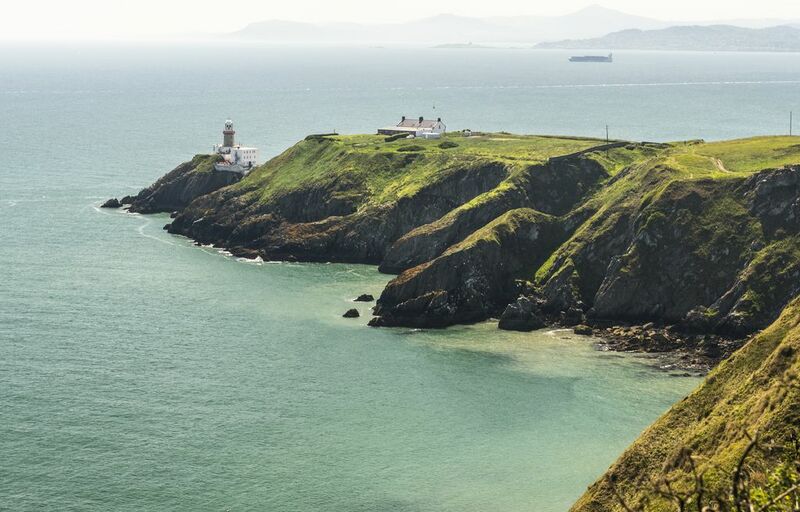 Howth is located approximately 16km from Dublin City Centre located on the northern boundary of Dublin Bay and is widely regarded as one of the best day trips from Dublin. Howth is a traditional small fishing village with many things to do and see. The village is easily accessed by public transport. Either take the 31A bus from Talbot St in the city center or enjoy the coastal views and relax on the light rail DART service from the city center to Howth Dart Station. Howth is a foodie dream with its range of restaurants. It is famous for its seafood. If you have been dreaming of Fish & Chips in Ireland, Howth is the perfect place to try them at “Beshoff” restaurant, it is a Dublin institution for Fish & Chips. 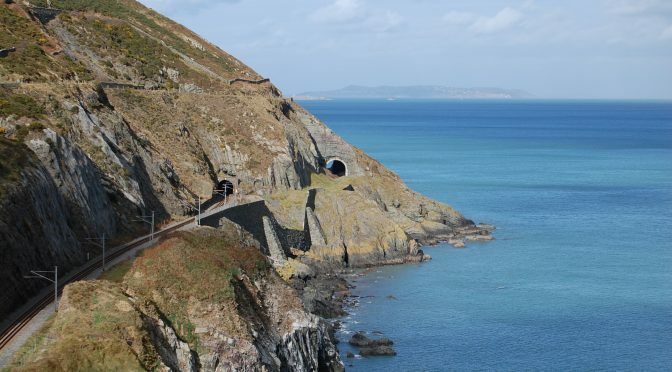 If you are looking for a nice walk or hike, Howth Head is the place to put on your itinerary. There is a walk for every level of walker. There are four route options, explore the “Bog of Frogs” loop for scenic views of cliffs, Lambay Island and Baily Lighthouse. The easiest way to do this beautiful walk is to catch the DART rail to Bray Co Wicklow from Dublin city centre. If you are interested in rail travel this is certainly worth a visit and one of the best day trips from Dublin. 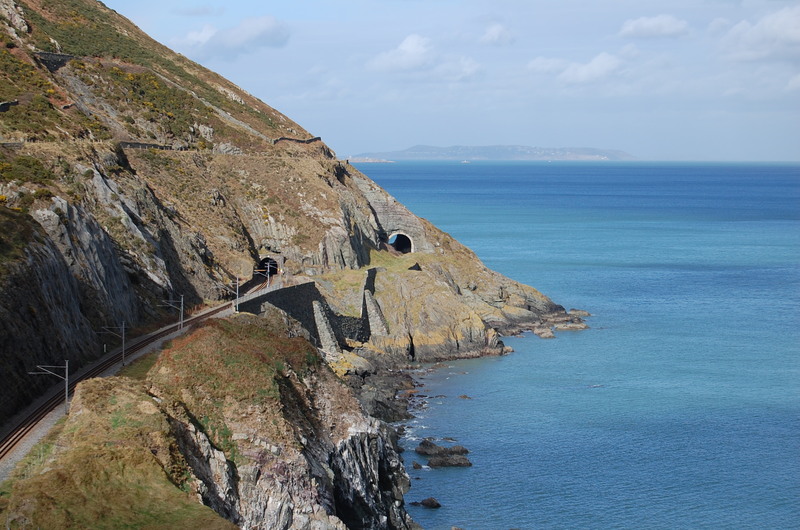 You will see some of the best views along the east coast of Ireland as the rail journey takes you along Killiney Bay home to musicians Bono and Enya. On route, you can hop off at Killiney if you want to break up your journey and venture up to Killiney Hill on the south side of the city. This gives you spectacular views of Dublin Bay and Killiney village is a beautiful village to stroll around and explore. This cliff walk is widely regarded as one of the highlights of walking in Wicklow, this linear walk is well maintained and can be done by all levels of walking fitness. Just follow the Red arrows, it is 7km long and give yourself 2.5 – 3 hours to complete the walk. You can start the walk from Bray or Greystones and can catch the DART rail line back into Dublin city center once finished. Wicklow is known as the “Garden of Ireland” for its temperate environment for growing its diverse range of fauna such as rare orchids to the wild and majestic Peregrine Falcon. 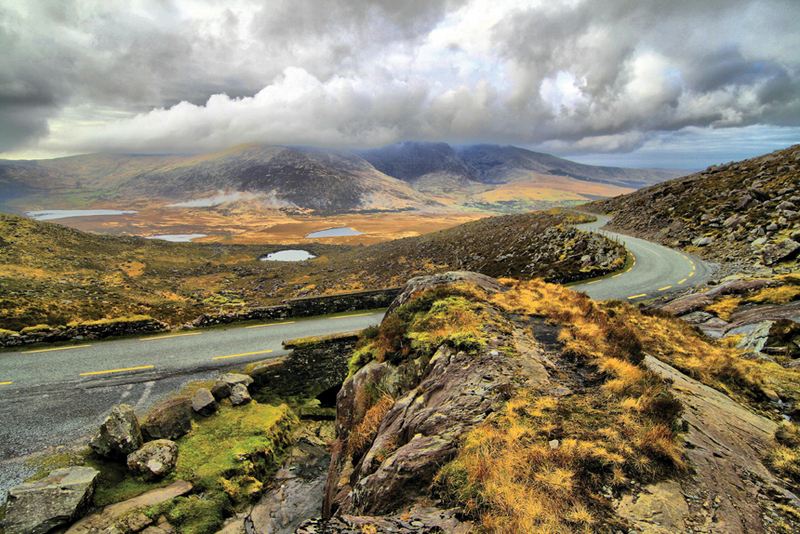 The National Park contains an area of 20,000 hectares and is famous for the Sally Gap which is a winding road perfect for long distance and cycling enthusiasts. Wicklow Mountains National Park runs a variety of activities for all ages either individual or a groups. 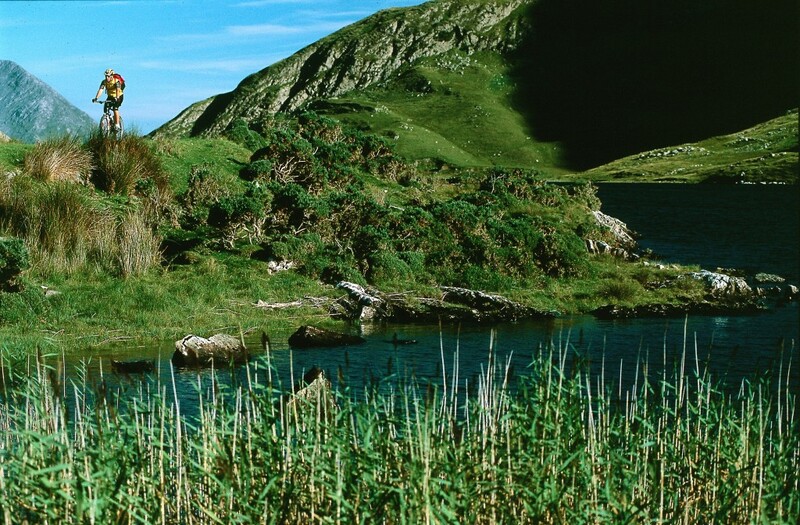 It is situated just south of Dublin and is one of the best day trips from Dublin if you are into the outdoors and a fan of nature. The Wicklow Mountains are full of wide open vistas full of streams feeding into spectacular lakes. The park offers many walks and trails for all walking levels and is full of recreational amenities. 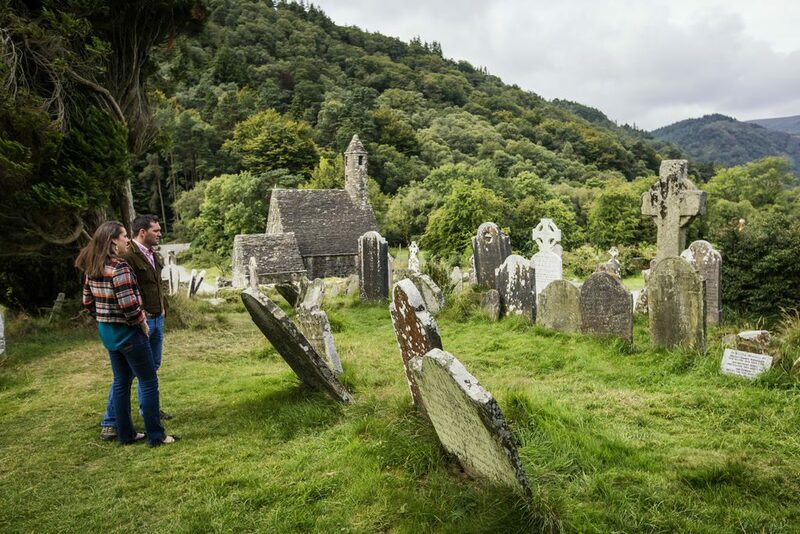 One of the most visited parts of the Park is the picturesque valley of Glendalough, where the ancient monastic settlement of St Kevin is located. 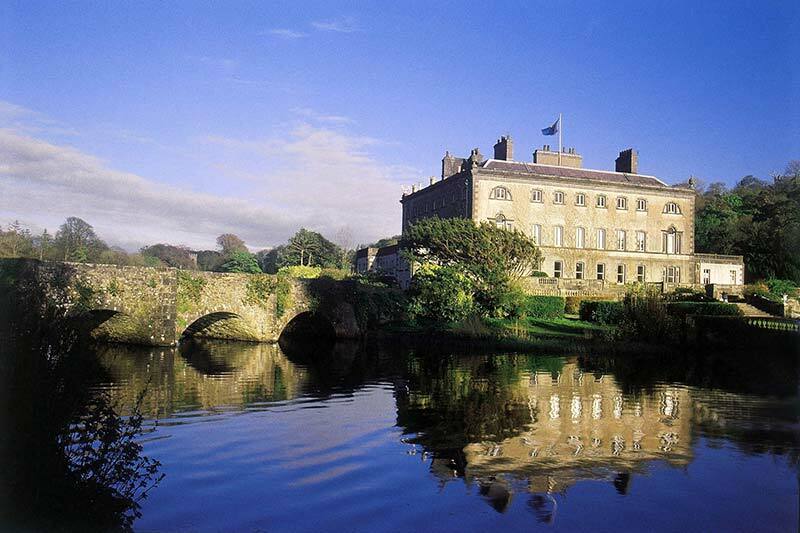 Malahide Castle & Gardens is situated in one of Ireland’s most beautiful and well-known award-winning towns. Malahide is easily accessible by public transport and is one of the best places from Dublin city centre to visit. The best mode of transport would be the DART rail system or alternatively, you can catch the bus. Malahide has lots to offer, it is a heritage village, has a marina, cafes, world-class restaurants, famous pubs and beautiful sandy beaches along with the jewel of the crown a national attraction in Malahide Castle. 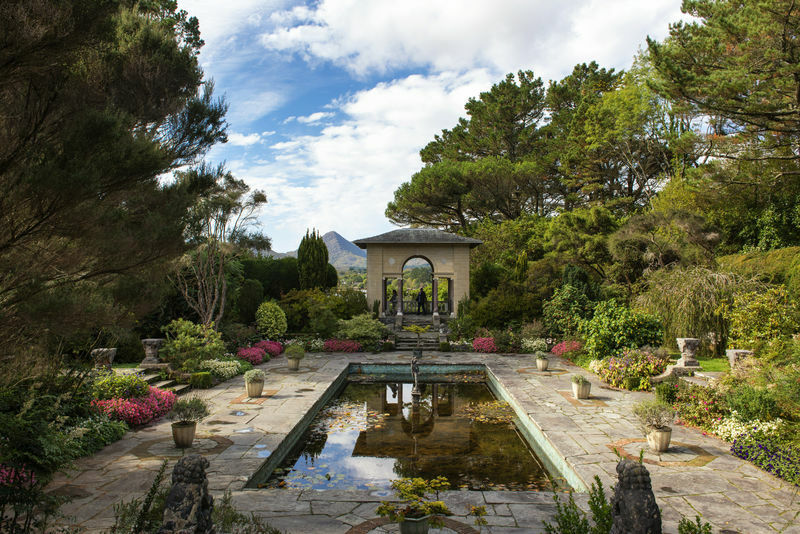 This premier attraction is set on 260 acres of lush gardens. This 12th-century castle had been home to the Talbot family for over 800 years. Over the last number of years, the attraction has undergone a huge refurbishment and reopened in 2012 with a state of the art visitor center and garden upgrade. Clontarf is a seaside village about 3km from Dublin city centre. It is easily accessed by public transport with the Dublin Bus Route (104, 130, 32X, 53) or it is one stop on the DART rail line. Alternatively, you can rent a bike in the city and explore Clontarf by bike, catch the sea breeze and take in the views. Clontarf has a great array of pubs, restaurants, and cafes. Some of the highlights of Clontarf are visiting St Anne’s Gardens and its award-winning Rose Garden. 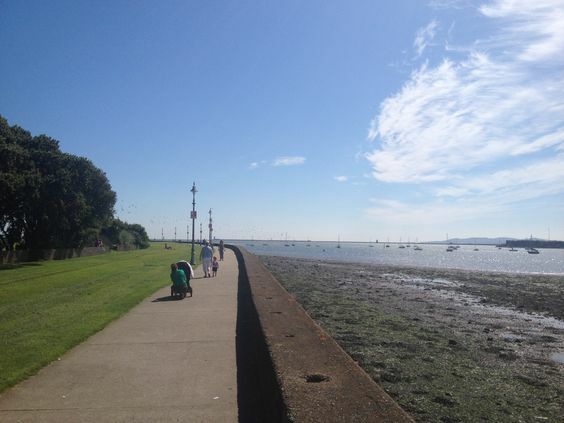 Walk or bike the famous Promenade and explore the natural bird habitat of Bull Island and have a picnic, take a swim or windsurf on Dollymount strand offering panoramic views of Dublin Bay & City. If golf is something that you enjoy, Clontarf offers a great links test at the famous Royal Dublin Golf Club, Ireland’s oldest golf club. Clontarf is also famous as the place Brain Boru was victorious over Leinster & Norse Dublin on Good Friday 1014 AD. Trim is situated 55km from Dublin city in the neighboring County of Meath in the heart of the historical rich Boyne Valley. 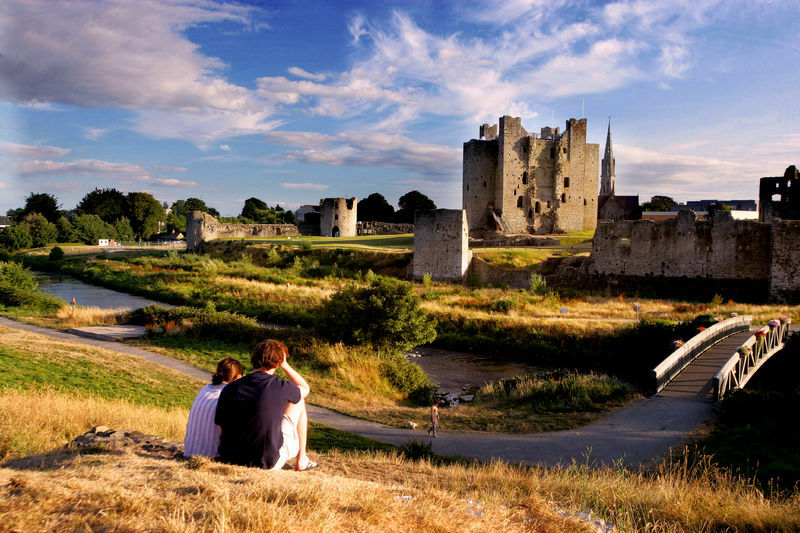 Trim Castle offers the perfect day trip from Dublin, don’t worry about needing a car if you do not have one, you can take the Bus Eireann’s 111 bus route which provides regular service. The castle took over 30 years to construct by Hugh de Lacy and his son Walter as the home of the Lordship of Meath. It is Ireland’s largest Anglo-Norman castle situated on the south bank of the River Boyne. In the year 2000 after an extensive period of excavation and restoration, it opened to the public. Also, it was the backdrop to some scenes of Mel Gibson’s famous Braveheart film. 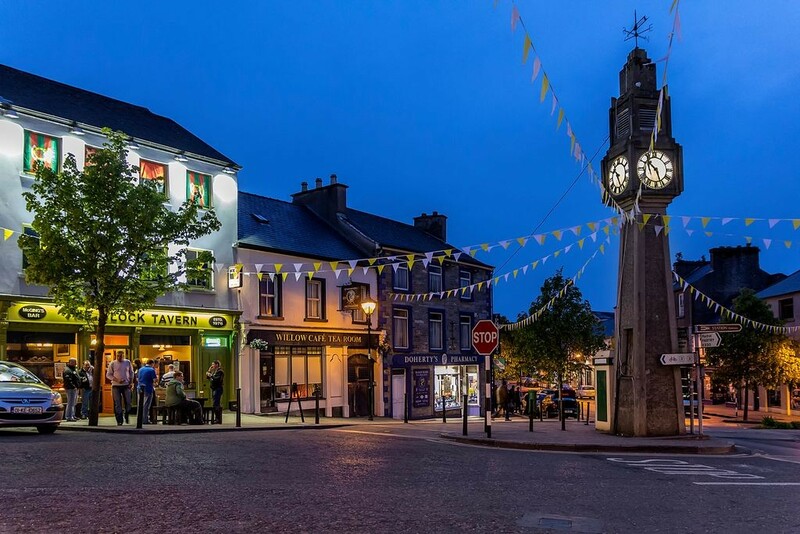 Trim is a designated heritage town, is regarded as one of Ireland’s most beautiful towns and it offers something for everyone and is the perfect tonic for relaxation and calmness. 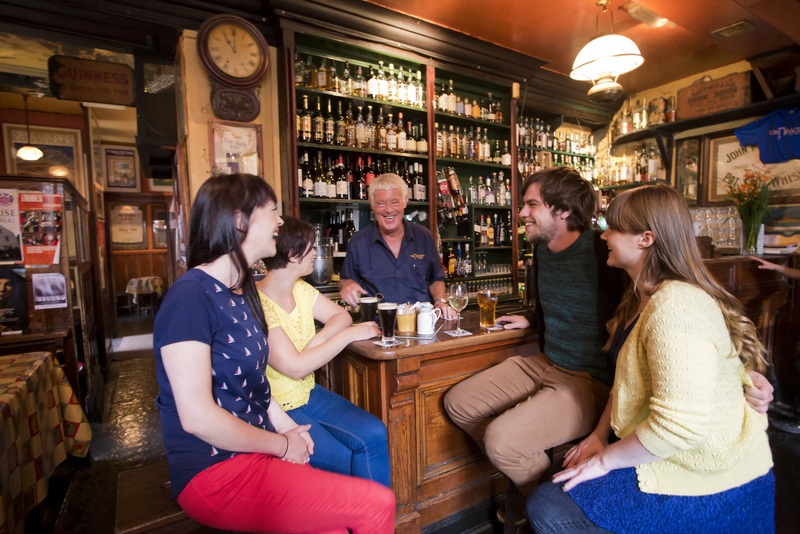 The best way to learn about Dublin and explore the surrounding places is to visit yourself. Contact us today for a quotation from our dedicated travel advisors including some or all of these locations today – We can tailor your itinerary around what we have to offer in Dublin alongside our Ireland Ancient East Self Drive or Chauffeured tours. What else could we write about at this time of year but Christmas? One of the more recent traditions during the festive period here in Ireland is a visit to a Christmas market! So if you would like the opportunity to buy unique & authentic Irish gifts and taste some of Ireland’s best artisan food then look no further than one of the six markets that we have listed below. The Galway Continental Market is one of Ireland’s most popular and longest running Christmas Markets. The market usually runs from the middle of November until right before Christmas and spans all the ways from Eyre Square to the Spanish Arch. The market stalls are a mixture of both local & European products (hence the name). The German Bier Keller is one of the favourite tents to visit for many of the market goers and if you’re not afraid of heights you can try out the 32 metre high big wheel too. 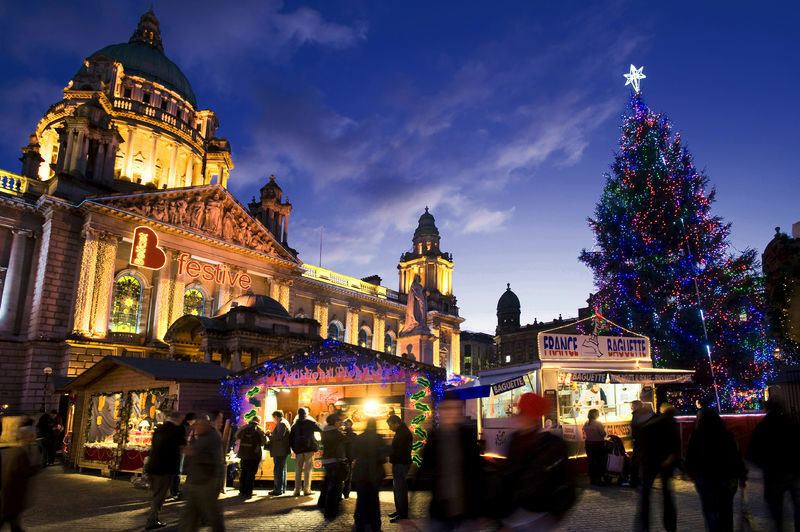 Regarded as one the best markets in Northern Ireland, the Belfast Christmas Market is configured of 90 wooden chalets representing 30 countries from all over the world. The market usually runs from the middle of November until right before Christmas and is situated at the picturesque city hall. On offer are a variety of Christmas decorations, handmade jewellery and a food court which supplies both local and continental food. The mulled wine is highly recommended. As you can probably imagine, the capital city has no shortage of top quality Christmas markets so picking out just one is quite difficult but we have decided on the Christmas Flea Market. 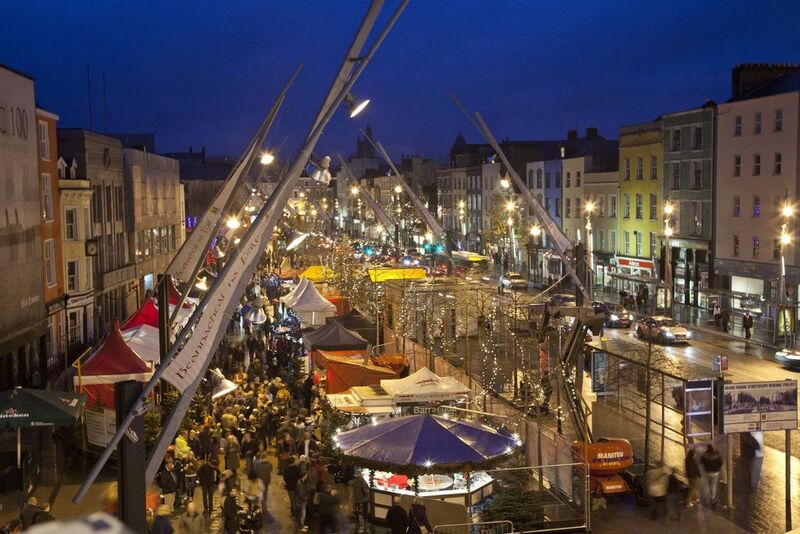 Located at the Point Square right next to the 3Arena, the market usually takes place on the second weekend in December. 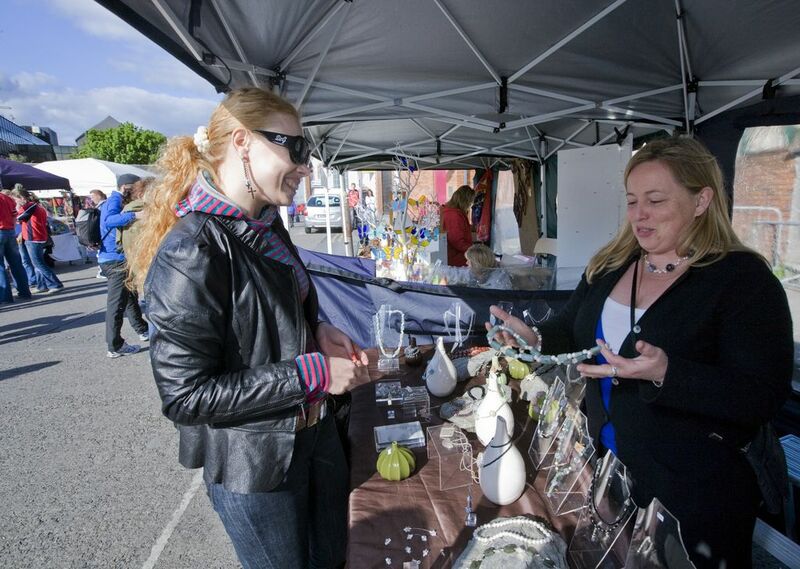 No two stalls are the same with craftspeople, artists, collectors and designers showcasing there talent. So if you are looking to buy a more quirky and unique gift for someone then the Christmas flea market is definitely worth a visit. Located in Limerick’s historic Old Quarter, the Milk Market is run every weekend during the year however it takes on a Christmas theme as the festive period approaches. A renowned hot spot for food buffs, the Milk Market is well known for its locally produced quality food with a wide range of products available for you to sample. The themed stalls, choirs and Santa’s grotto will get you in the Christmas spirit in no time. 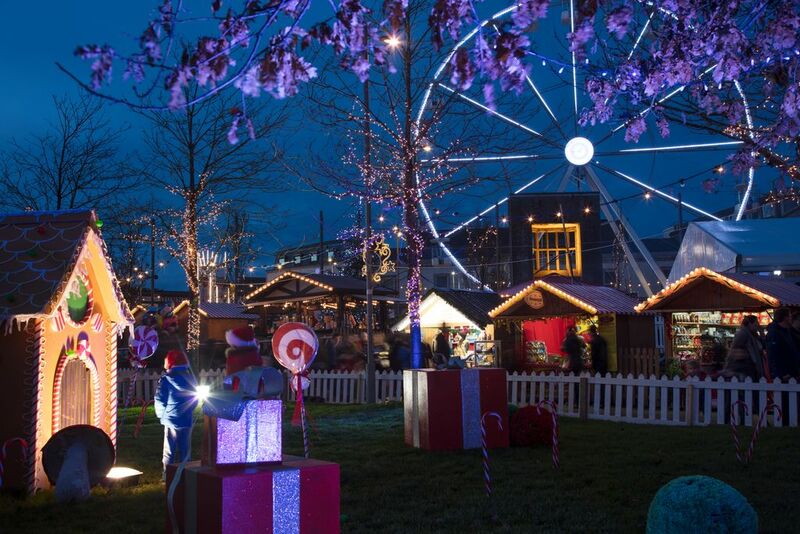 With over 60 market stalls bringing festive charms to Ireland’s oldest city, Winterval is one the premier Christmas markets in the south east of Ireland. Winterval usually runs from the end of November right up to Christmas and is spread across three different locations in Waterford City Centre. Make sure to check out the vintage ferris wheel, the storytelling in Reginald’s Tower and the Winterval Express train which takes you on a tour of all the festivals attractions. For some merry entertainment in Ireland’s second city, look no further than Glow! 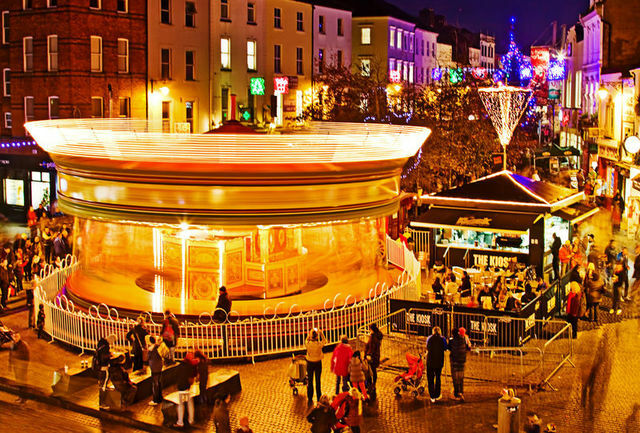 Conveniently located in Bishop Lucey Park just off grand parade in Cork City Centre, the market runs every weekend in December, right up to Christmas! 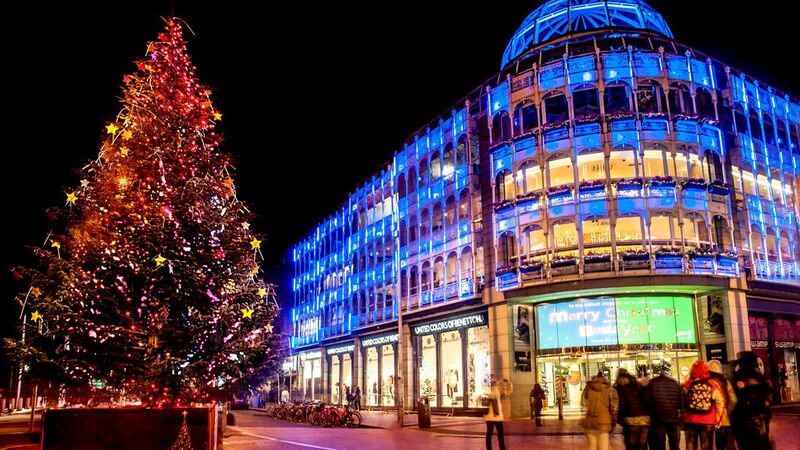 Glow lights up Cork with fantastic Christmas food markets, choral performances and a 30 metre high ferris wheel provides amazing views of the city. Just across the street from the park is the famous food market, The English Market, where you can try the famous spiced beef or some buttered eggs. Looking for places to visit in Cork? 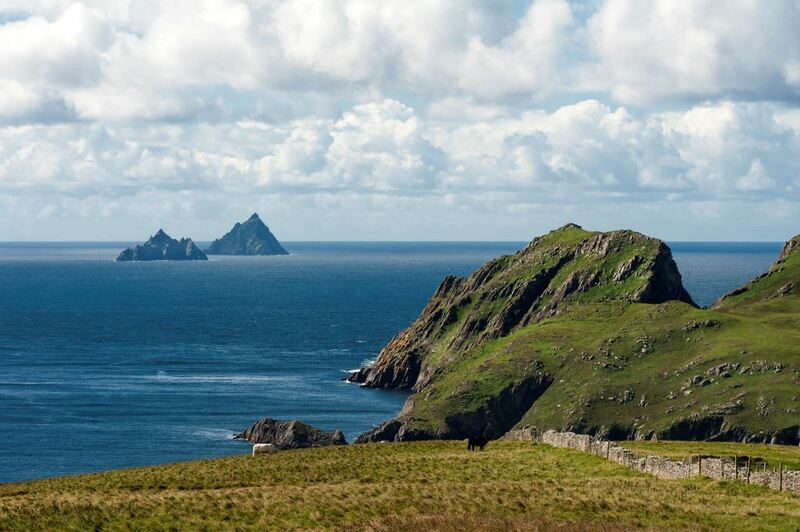 Check out our list for our top 7 recommended things to do in the famous Rebel County! Boasting the second biggest city and largest county in Ireland, Cork is one of the most prominent places in the Emerald Isle. It is also home to some beautiful scenery and some fantastic tourist attractions so we decided to pick out 7 of the top things to do in Cork below! 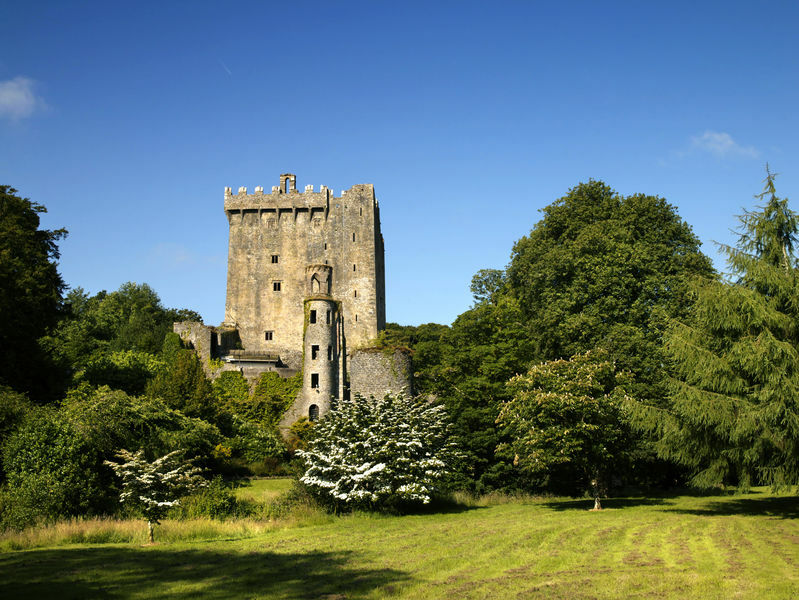 Where else could we start a list of the top things to do in Cork but with Blarney Castle and the Blarney stone? 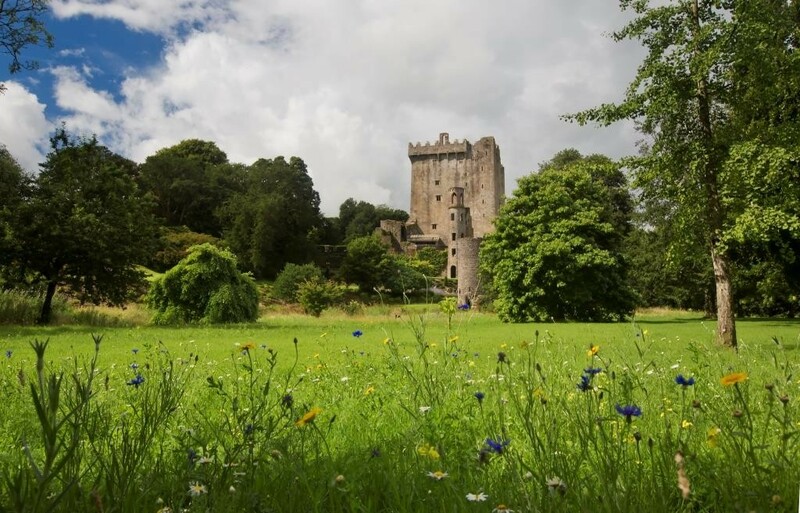 The famous stone of eloquence is situated at the top of the magnificent Blarney Castle and folklore has it that anyone who kisses it acquires the gift of eloquence or as we say in Ireland, the gift of the gab! Surrounding the castle are beautiful gardens for you to take a stroll through at your own leisure. 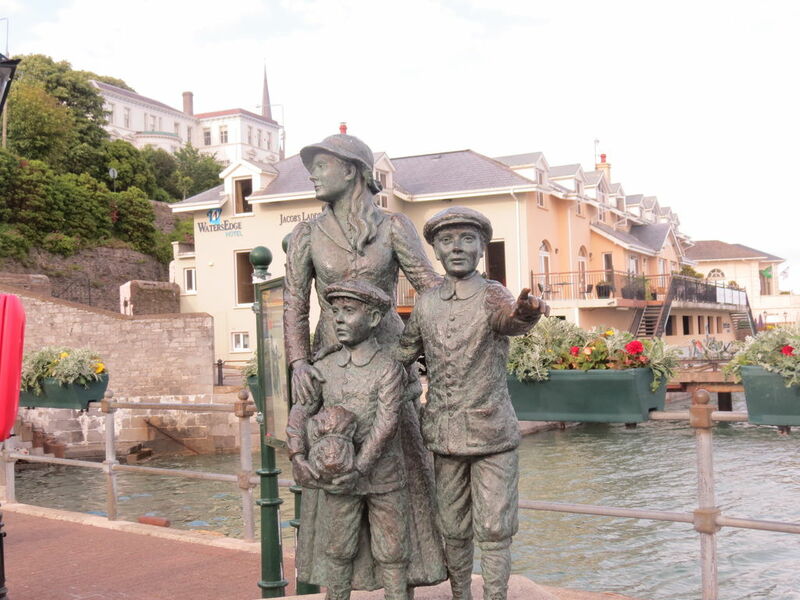 Another must visit during your time in Cork is the Cobh Heritage Centre which is located about 25km southwest of Cork City, in the town of Cobh. Here you are given the opportunity to learn about life in Ireland during the 18th& 19th centuries where mass emigration, the famine and criminal transportation are the main themes. The centre also hosts an exhibition on the history of the Titanic; Cobh was the last port of call before it made its final faithful voyage across the Atlantic. 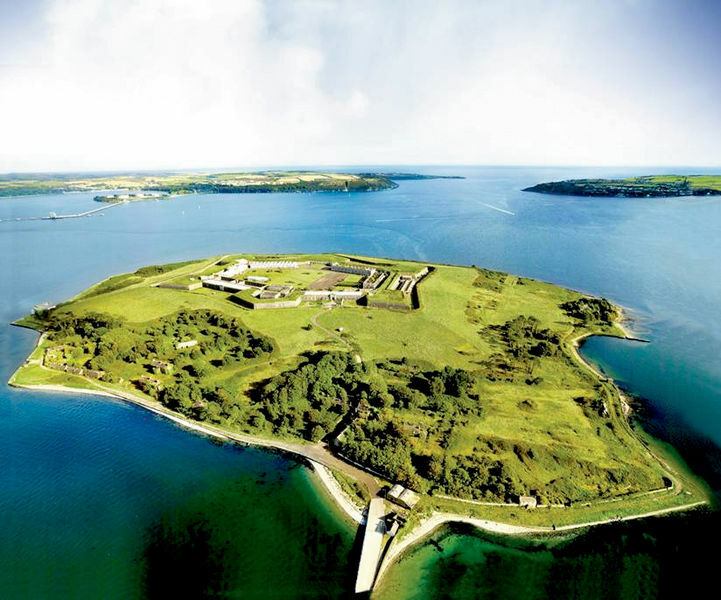 Known as Ireland’s Alcatraz, Spike Island is also located near Cobh, just off the coast. Originally founded as a military instillation it later became a prison which was in operation until the 1980’s. In 2015 the island was re-opened as a tourist attraction & it was recently crowned as Europe’s leading tourist attraction. 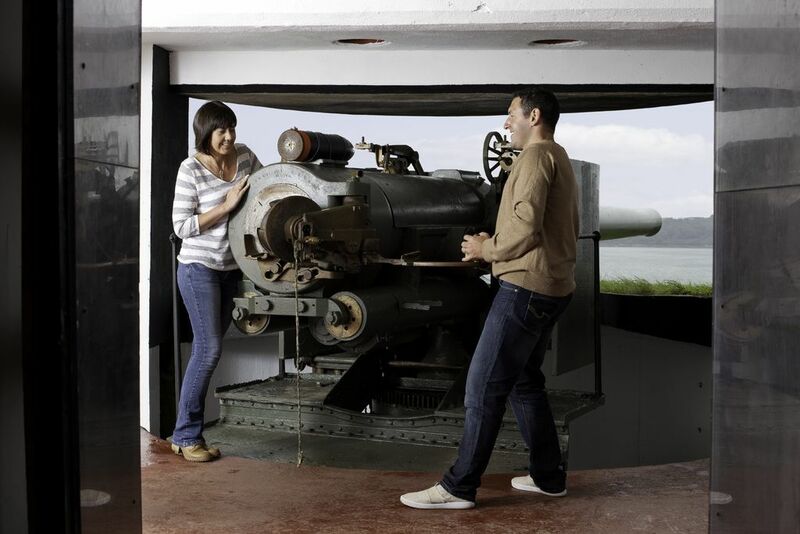 Tours of the island take in the fort, prison cells and the gun emplacements. An after dark tour is also available for those who would be interested in a more edgy but fun experience. Of course one of the best things to do in Cork is to sample the local cuisine and the best place to start is at The English Market in Cork City Centre. Surrounded by beautiful 19th century architecture the market is famous for supplying local specialities such as drisheen (a type of blood pudding), spiced beef and buttered eggs. 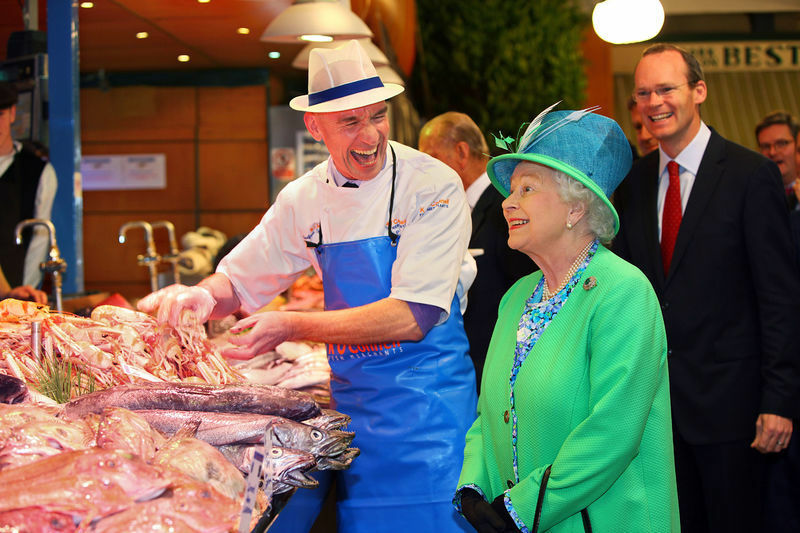 Even Queen Elizabeth II decided to pay a visit to the market in 2011 to see what all of the fuss was about! Garnish Island is situated in Bantry Bay just off the West Cork coast. The island is renowned for its beautiful gardens, Martello Tower and exotic plants, most of which are rare to Ireland. 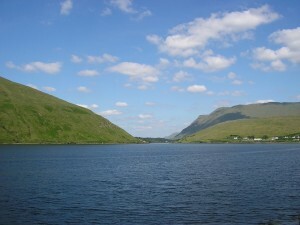 A short scenic ferry cruise, departing from the village of Glengarrif, takes you out to the island. One thing to keep an eye out during the journey are the seals who frequently visit the rocks on the southern shore of the island. 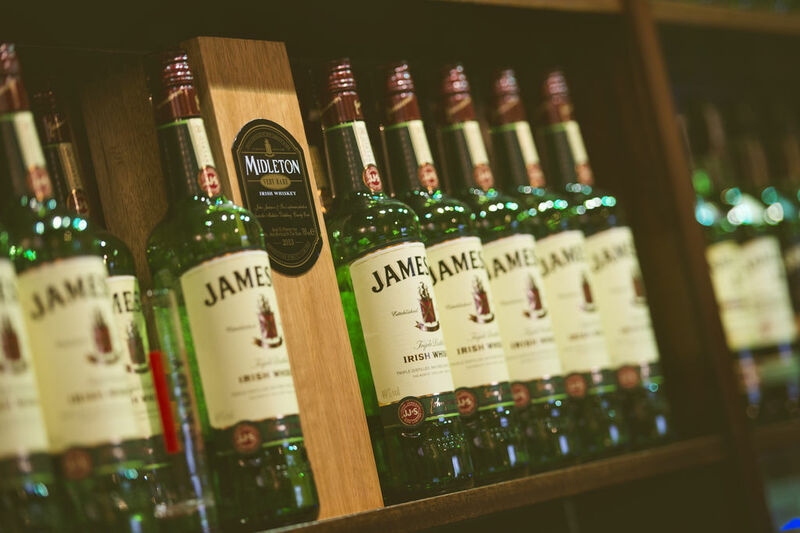 For any whiskey fans then the Jameson distillery in the town of Midleton in East Cork should definitely be on your bucket list. 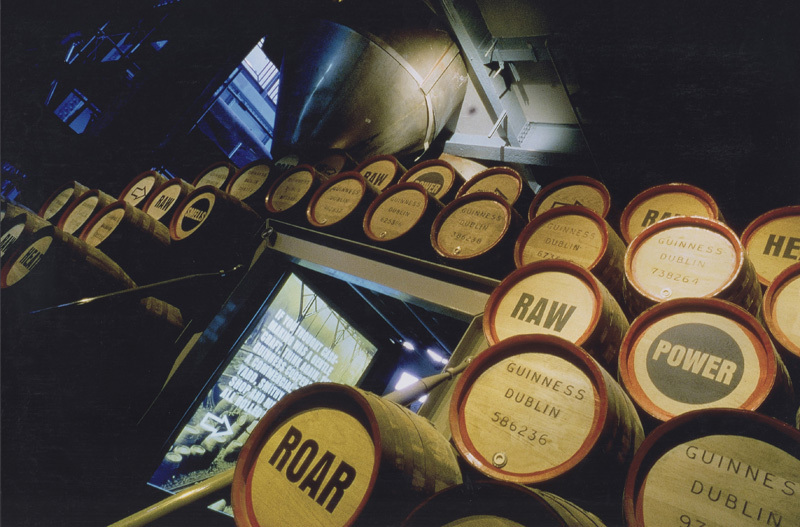 A guided tour of the distillery begins with a short film to give you a brief background to Jameson’s history before a guide takes you through the distilling process from start from finish. At the end of the tour each participant receives a free glass of whiskey (those who are 18 and over!). 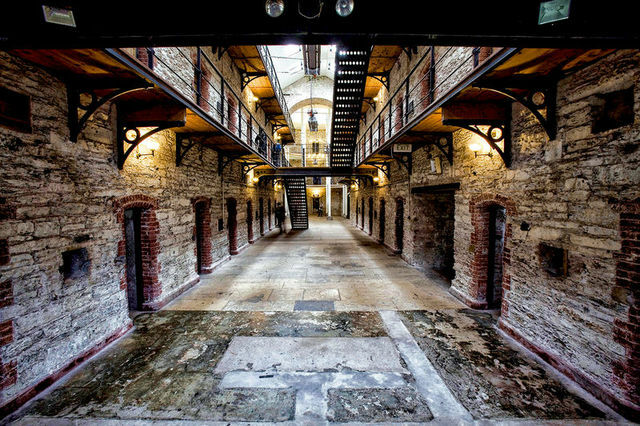 Rounding off our list of top things to do in Cork we come to Cork City Gaol. Located within walking distance from the city centre, the museum gives you the opportunity to see what life was like inside one of Ireland’s most famous jails during the 19th & 20th centuries. 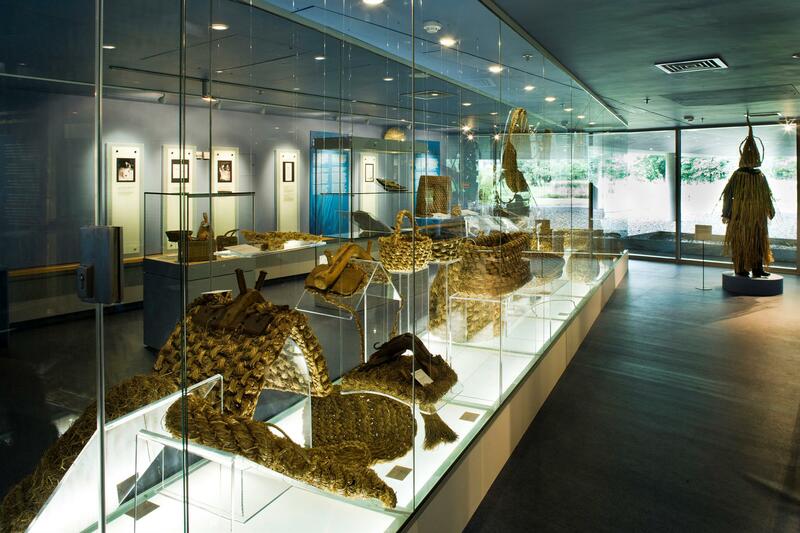 Exhibitions including lifelike figures, sound effects and furnished cells make it an enjoyable experience for visitors of all ages. Halloween in Ireland originated in the ancient Celtic world as a pagan festival known as Samhain and has since become a day that is celebrated worldwide. Halloween in Ireland is still a significant holiday especially due to the fact that the last Monday in October is designated as a public holiday. 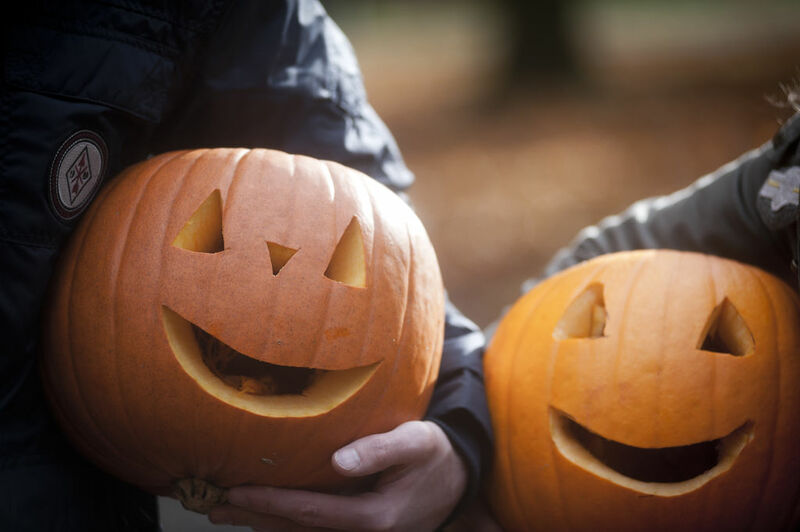 Below we look at some of the popular Halloween traditions in Ireland from both past and modern times. Barmbrack is a traditional Irish Halloween custom where yeasted sweet bread is prepared with sultanas and raisins. Barmbrack contained various items that had been baked into the brack and these carried predictions for the future year. Finding a pea in your piece of barmbrack meant you would never marry, a stick predicted that you would have an unhappy marriage (a stick to beat your partner with! ), a piece of cloth often referred to as a ‘rag’ meant you would be poor, a small coin for wealth and a ring meant you would be married before the next Halloween. 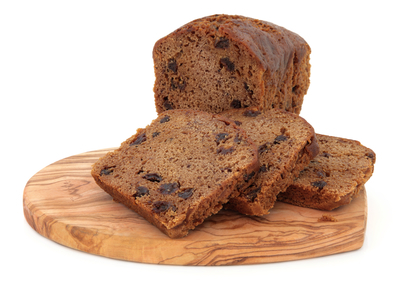 Even today, no Halloween in Ireland is complete without having a few slices of Barmbrack! 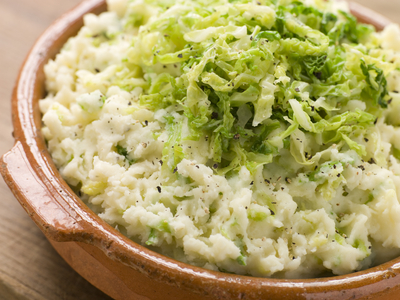 Next on our list is Colcannon, a traditional Irish potato and cabbage dish that is often eaten at Haloween in Ireland. The dish gets its name from the Irish word cal ceannan, which when translated means white headed cabbage. The dish usually includes kale, green cabbage, bacon and floury mashed potatoes. Similar to the barmbrack, items were placed into the Colcannon which were used to give predictions for the coming year. The Halloween bonfire which we have come accustomed to in modern day celebrations was in fact the centre of the Samhain festival. Legend goes that each village would have a bonfire where people would sacrifice crops and animals in return for protection for themselves for the coming winter. Before the main bonfire could be lit all fires around the village had to be quenched. Only after the main bonfire had been extinguished could the villager’s then re light their own fires. An ancient Samhain tradition that can still be seen during Halloween today is the Jack O Lantern. Folklore has it that hundreds of years ago an Irishman called Jack conned the Devil into buying him a drink for exchanging his soul. However when Jack finished the drink he proceeded to cover himself in crosses meaning the devil was unable to get his soul. When Jack died he was refused entry to heaven for his behaviour. He then encountered the devil who refused him entry to hell but grudgingly giving him an ember so he could see as his walked throughout the night. Every Halloween since, people carved out turnips and placed a candle in them to ward off the wandering Jack. It was from this that the Jack O’Lantern came into existence. Although in Ireland we no longer carve out turnips it is thought that this is where the practice of carving pumpkins originally came from. One of the more modern Halloween traditions in Ireland is visiting haunted houses & castles over the Halloween period. Events are held around Ireland where people gather in supposedly haunted houses & castles in the hope of encountering some spirits! 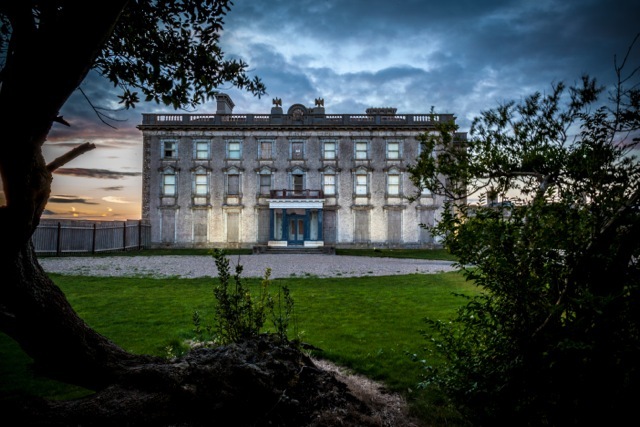 Some of the most famous spooky attractions around Ireland where these events take place include Loftus Hall, Charleville Castle and Charles Fort, Kinsale. If you are interested in experiencing Halloween in Ireland contact us today for a competitive quotation. One of our experienced travel advisors will be happy to answer any queries that you may have. 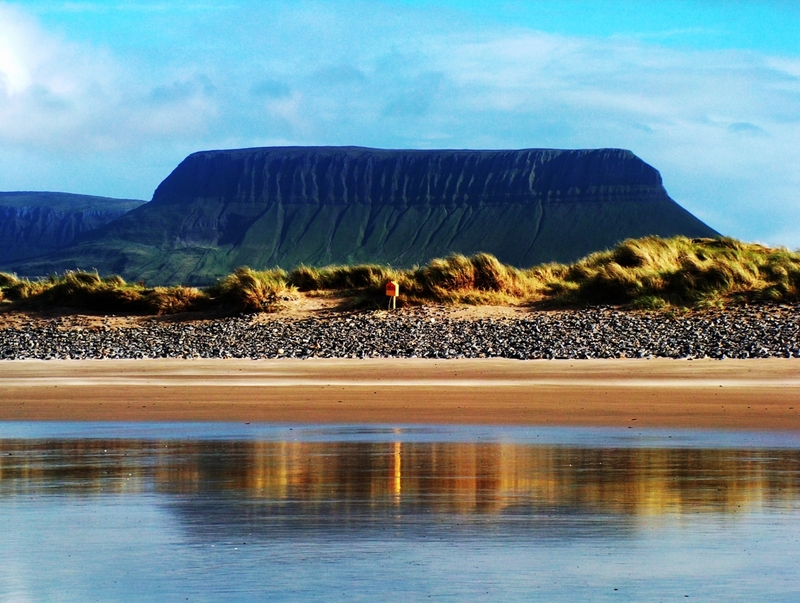 This month’s blog focuses on what Ireland has to offer to the golfing world! 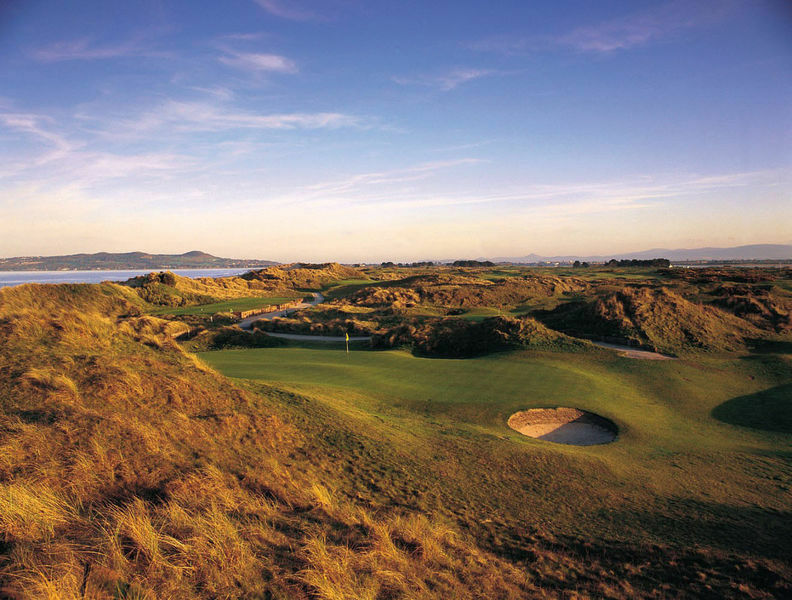 Boasting some of the best links courses that can be found, Ireland is a must visit for any golf fan. 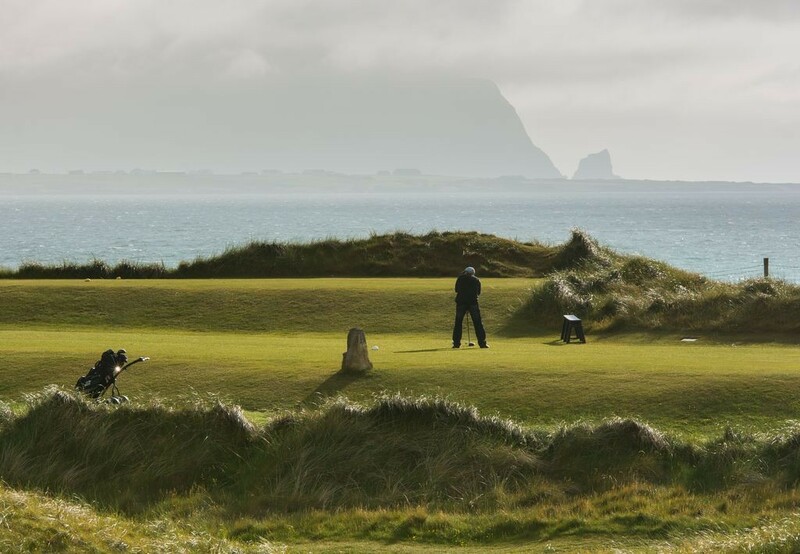 While we have included seven of the best golf courses in Ireland on our list, there are dozens of other excellent courses located right throughout Ireland for you to play during your trip. Here at Irish Tourism we offer a wide variety of golf tours suitable for players for all abilities that are customised to what you want to fit in during your time in Ireland. Considered by many to be one of the finest courses around, every single facet of your game is challenged throughout these 18 demanding holes. Founded in 1893, the course has attracted legendary players throughout the years including Tom Watson, Tiger Woods and former U.S president Bill Clinton. 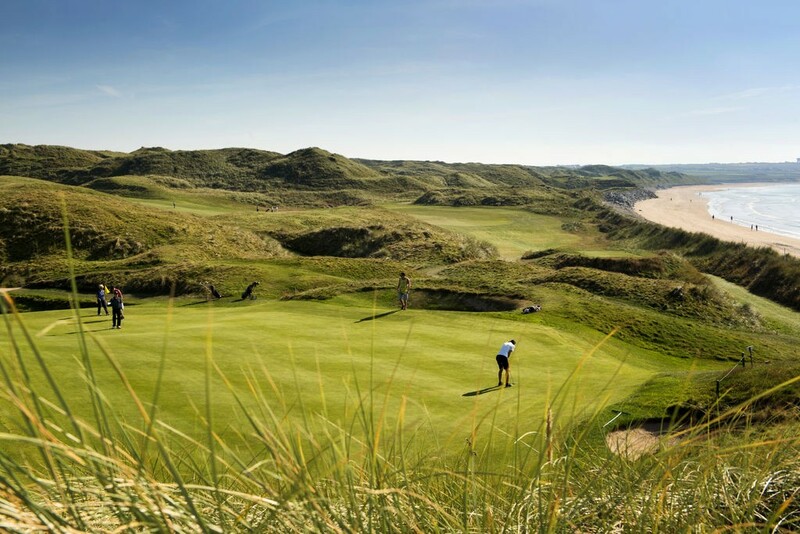 In 2005 Golf Digest ranked Ballybunion as the seventh best course in the world outside the United States further increasing Ballybunion’s fame. 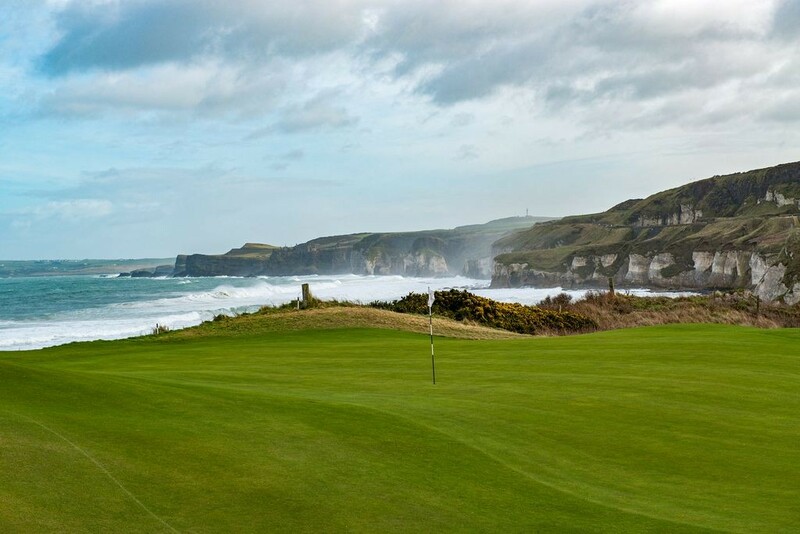 This prestigious club, situated on the north coast of County Antrim is home two links courses, Dunluce (championship course) and The Valley Links. The Dunluce course hosted the Irish Open in 2012 and is due to host the Open Championship in 2019. Two famous faces to keep an eye out for are major winners Darren Clarke who resides in Portrush & Graeme McDowell who is a member. 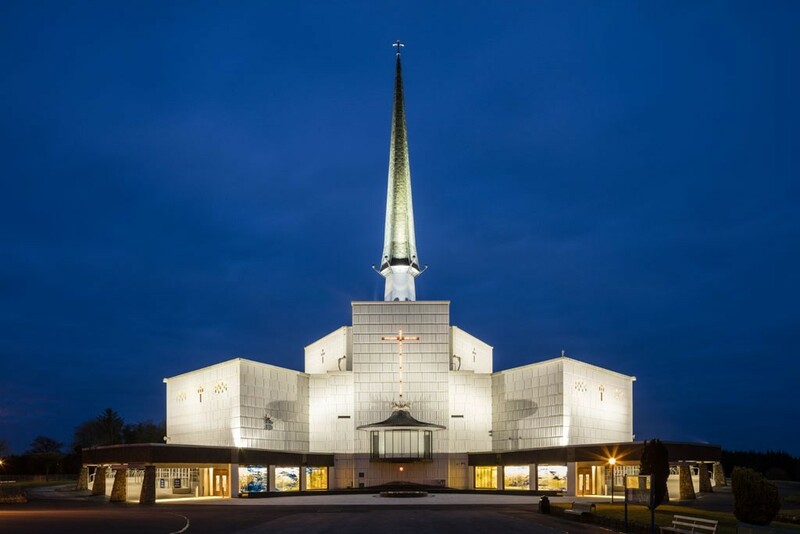 Located just half an hour’s drive from Dublin City Centre and fifteen minutes from Dublin Airport, it is the perfect place to start/end your trip to Ireland. Surrounded on three sides by water and with no two successive holes playing in the same direction Portmarnock will require you to use all of the tricks that you have in your locker! 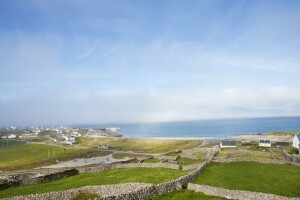 Set right on the Atlantic Coastline, this is the perfect place to tee up if you are staying in Doolin or in the Western region. 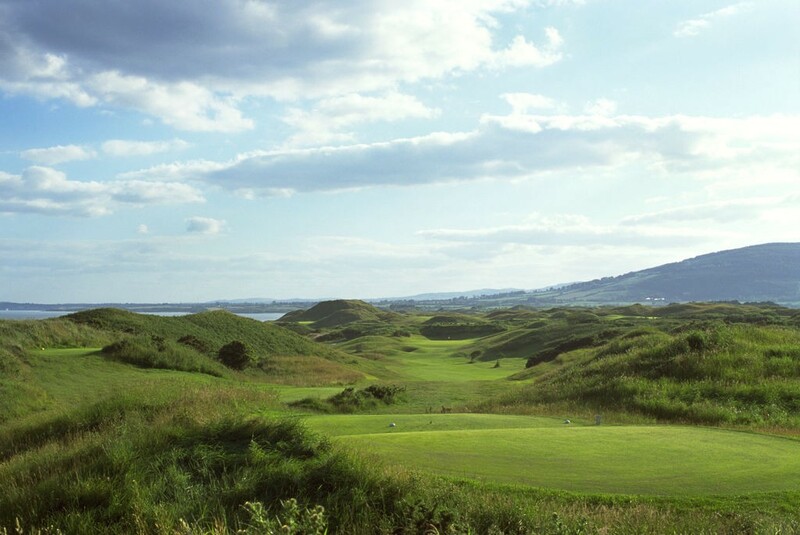 The course is often referred to as the “St Andrews of Ireland” as it was originally designed by Old Tom Morris. In the 1920’s the course was redesigned by Alister MacKenzie who later would co-design Augusta National. 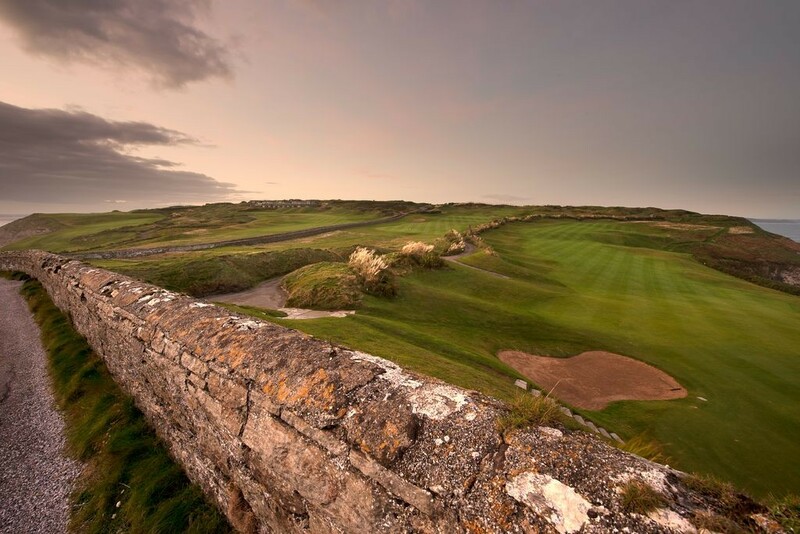 The sublime work of these prestigious course designers has defined Lahinch as one of the best golf courses in Ireland. Situated just an hours drive south of Dublin in County Wicklow, the European club is one of the most famed courses on Ireland’s east coast. Perhaps one of the more unconventional links in Ireland, certain features give an added charm to the course such as the two extra par 3’s to having the longest green in the world (127 yards from back to front). 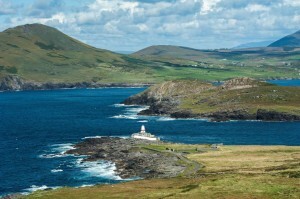 Located on the south coast of Ireland in County Cork, the old Head of Kinsale is a spectacular course that is at the mercy of the Atlantic Ocean. Cliffs over 300 metres high run off the edge of fairways providing you with breath taking views however it also means that wayward shots must be kept to a minimum! Last but certainly not least we come to Ballyliffin. 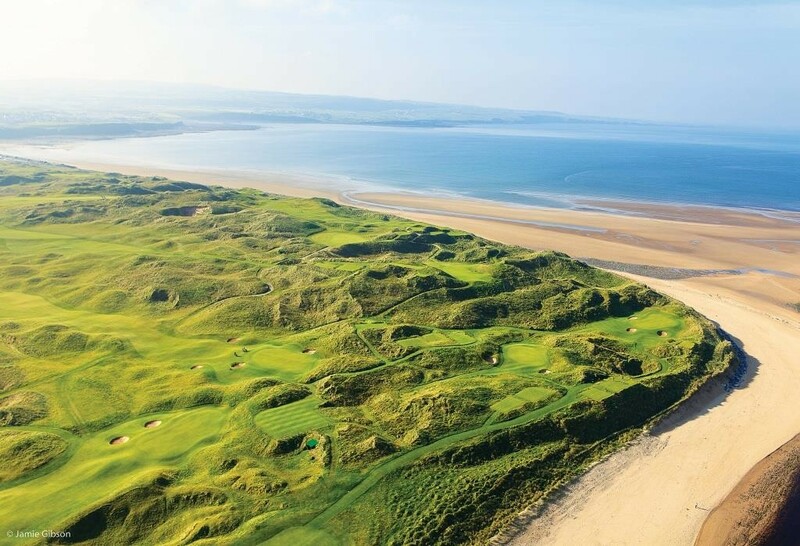 Located at the Northern tip of Donegal, the course is due to host the Irish Open in 2018. Ballyliffin has been described as one of the best kept secrets in Irish golf. Recent work completed by Nick Faldo has received much acclaim and has served to further enhance the reputation of the links. If you are interested in playing some of the best golf courses in Ireland contact us today on the below numbers or through our enquiry form. One of our experienced travel advisors will be happy to answer any queries that you may have. 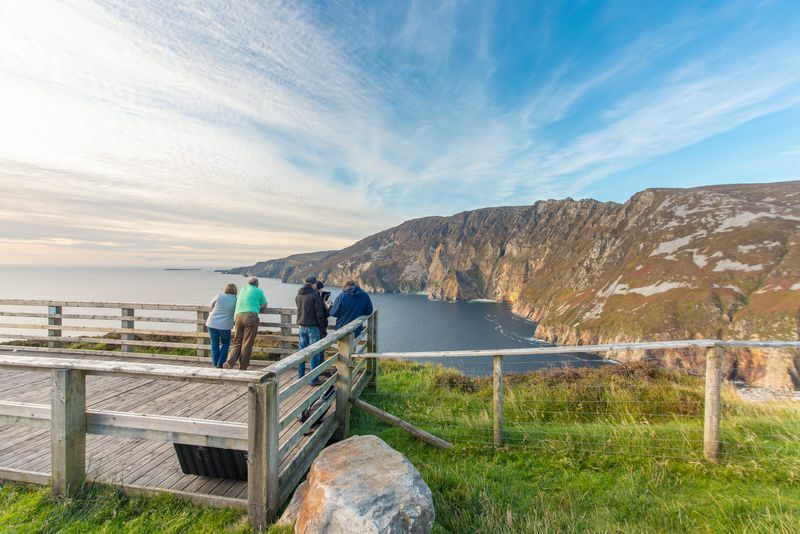 Situated on the South West coast of Donegal, the majestic Slieve League Cliffs are one of the highest oceanic cliffs in Europe with the top of the cliffs reaching a towering 600 metres. 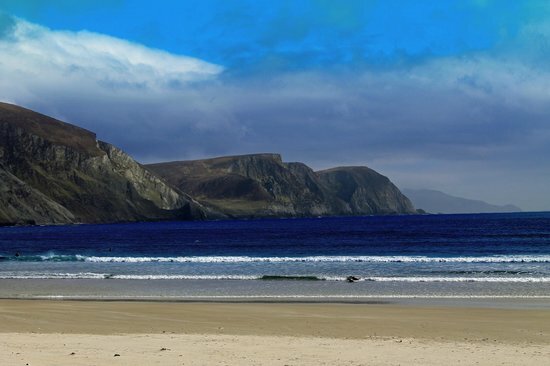 As you walk towards the top of the cliffs there are magnificent views across Donegal Bay towards the mountain base in Sligo and Mayo with Glencolmcille being visible to the North West. 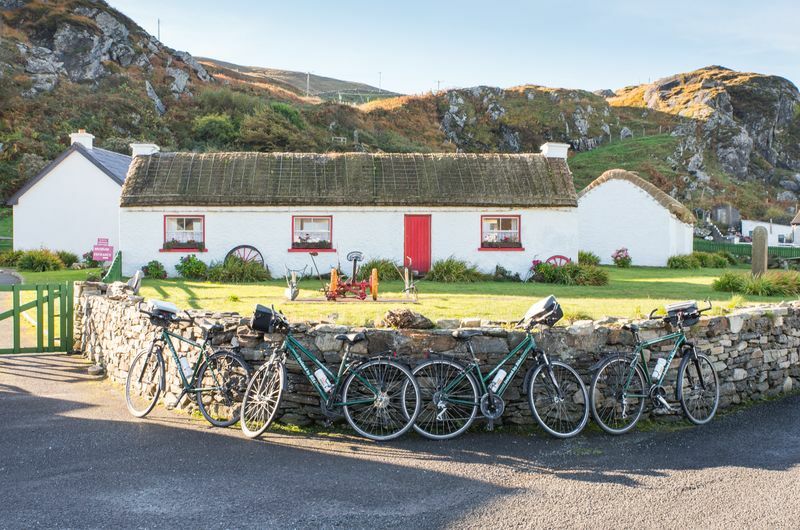 Glencolmcille Folk Village offers you the opportunity to catch a glimpse as to how daily life has varied in Donegal throughout the past few centuries. Thatched cottages, each a replica from a particular century filled with furniture and artefacts of that period, a fully reconstructed school house and a pub/shop give you a real perspective as to how people survived in the remoteness and hardship of life in Donegal. 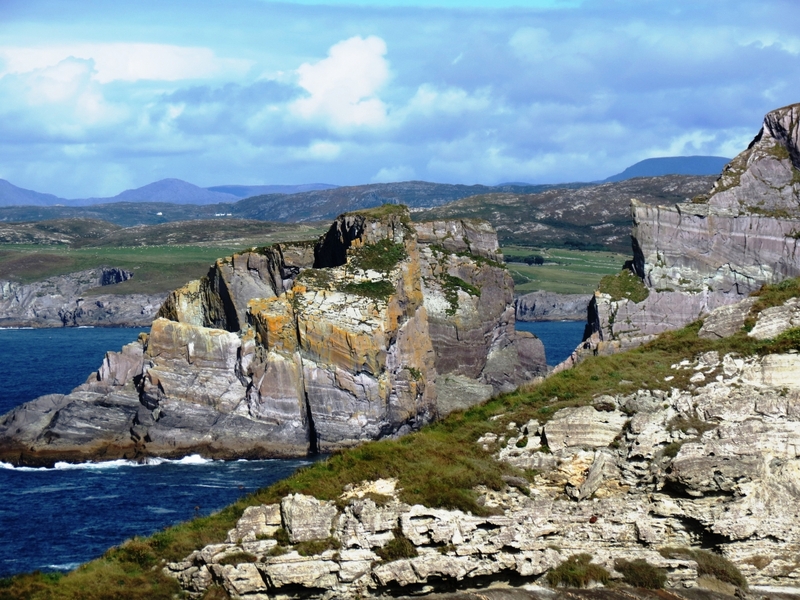 One of the most popular things to do in Donegal is to explore the Inishowen Peninsula. 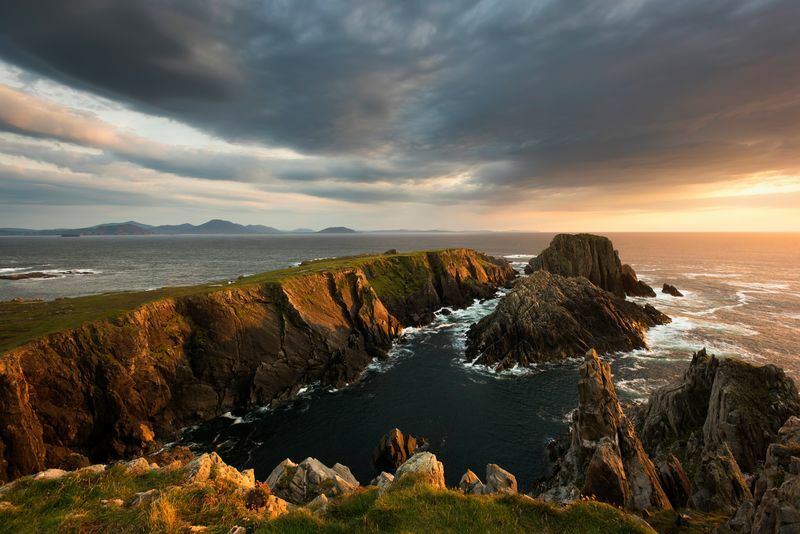 Situated on the Northern tip of County Donegal, it is the largest peninsula on the island of Ireland. 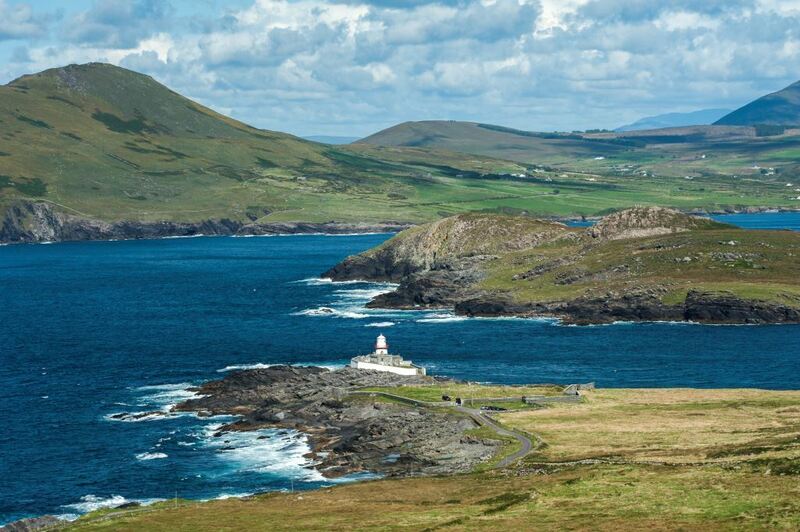 This scenic drive is the starting point of the Wild Atlantic Way and has a scenic driving route of its own, the ‘Inishowen 100’. 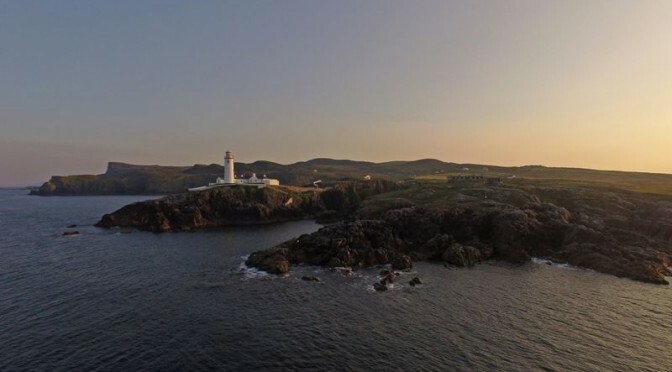 One of the highlights of the route is Malin Head which is the most Northerly point of Ireland is also where scenes from Star Wards: The Last Jedi was shot in 2016. 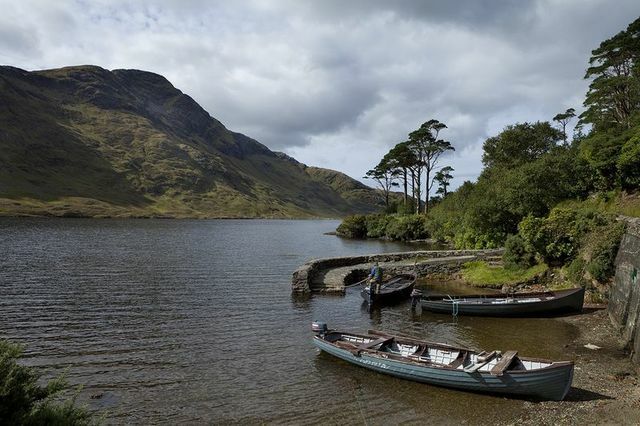 Glenveagh national park is the second largest national park in Ireland with over 16,000 hectares of land for you to explore. 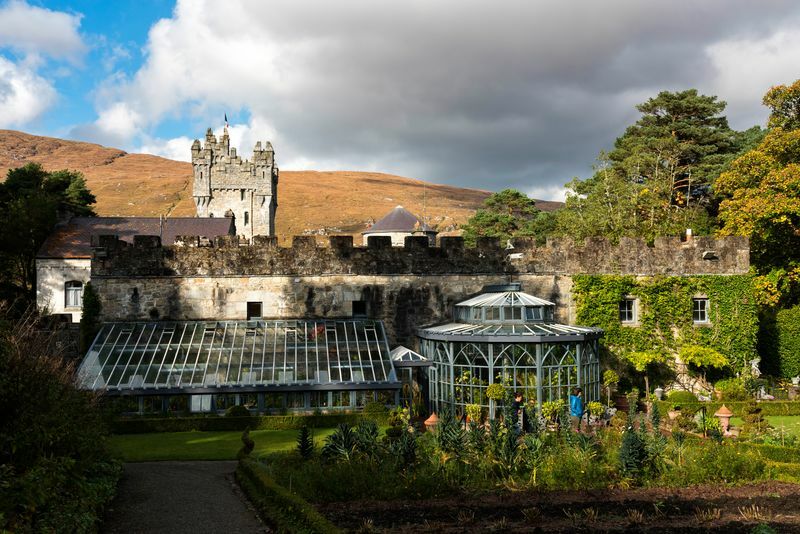 Recommended sights and activities within the park include the 19th century Glenveagh Castle while six walking trails within the park varying in length from 1km to 8 km with all trails providing different views and levels of difficulty for walkers. The Grianán of Aileach is a hillfort on top of the Greenan Mountain on the Inishowen Peninsula. 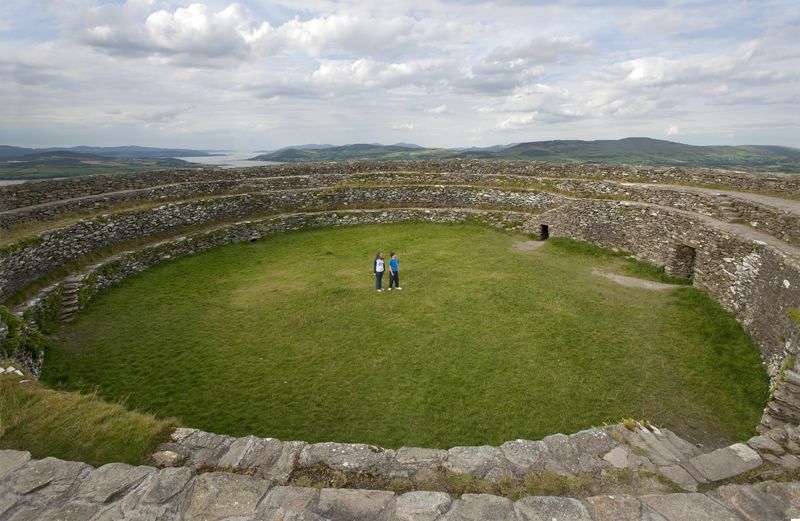 The ringfort dates back to the 6th century and was the seat of the Kingdom of Aileach and one of the royal sites in Gaelic Ireland. From the top of the hillfort there is a breath taking view across Lough Foyle & Lough Swilly as well as the entire Inishowen Peninsula. 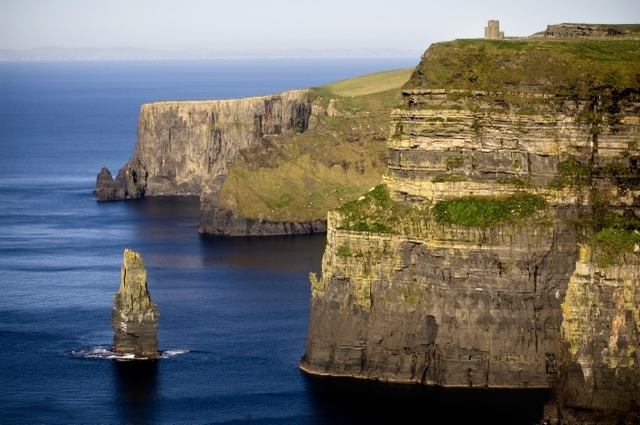 Learn more about the top 10 things to do in Ireland by taking your own trip here! 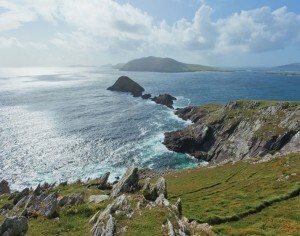 Contact us today to arrange your own vacation in Ireland including some or all of these fantastic locations! 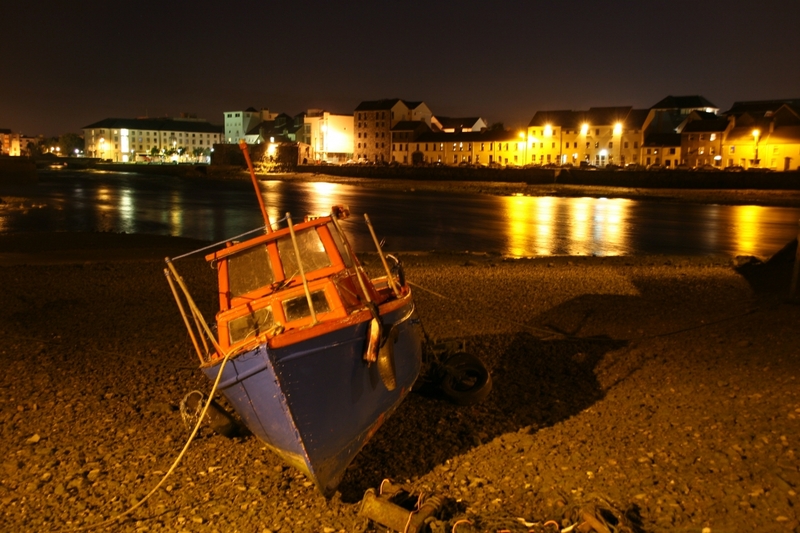 Waterford is located in Ireland’s Sunny South East, and is one of Ireland’s oldest cities. Founded by Vikings in 914 A.D., a part of its ancient walled core still remains. The city is most famous for one of its exports, Waterford Crystal, a legacy of the city’s glass making industry. Before you set off sightseeing in Waterford you might want to sample a Blaa, a large, soft, and fluffy bread roll that is exclusive to Waterford! 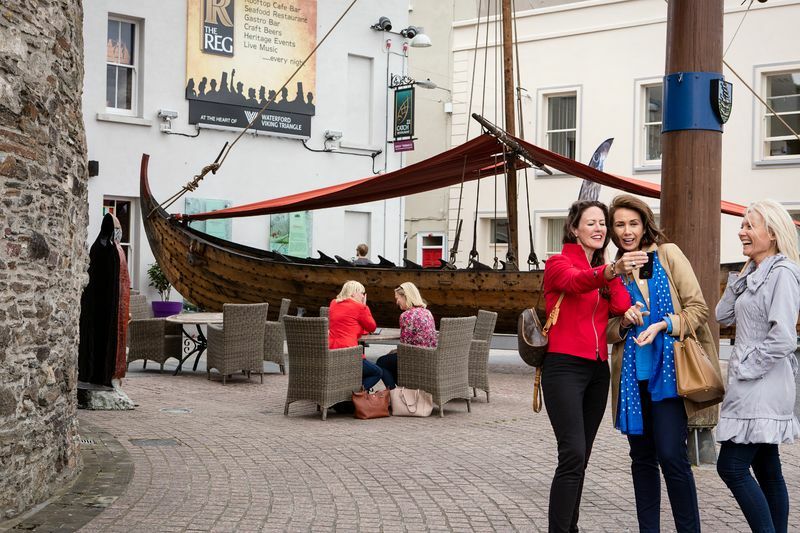 Waterford Viking Triangle is the city’s Cultural and Heritage quarter and many of its visitor attractions are here. The quarter is characterised by narrow streets, atmospheric public spaces and a collection of cultural & historic attractions. This landmark building is the only monument named after a Viking. Situated at the apex of the Viking Triangle, the tower was originally part of the cities defences. The building was once used as a mint, a prison and military store; it now displays an exhibition on Viking Waterford. The Bishop’s Palace is located in Cathedral Square and gives the visitor an insight into the Georgian and Victorian periods in Waterford. The first two floors are laid out as a historic house with displays of 18th century glass, silver, furniture and paintings. The oldest piece of Waterford Glass in the world is a highlight. The Medieval Museum is located between Cathedral Square and the Bishop’s Palace in the heart of the Viking Triangle. The Museums main architectural features include two medieval chambers, a 13th century Choristers’ Hall and a 15th century Mayor’s Wine Vault. One of the museum’s most precious artefact is the only surviving piece of clothing worn by Henry VIII, a cap of maintenance. 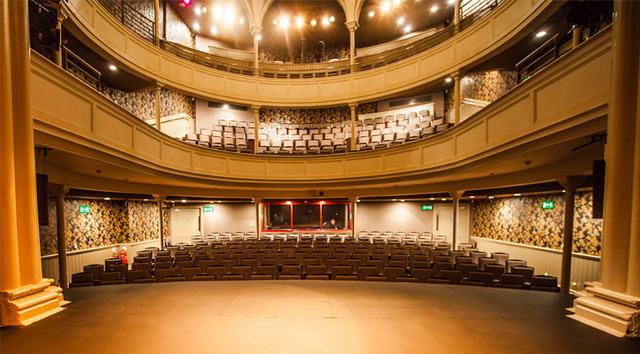 The Theatre Royal is locally referred to as “the people’s theatre” and has been the traditional venue in Waterford for the arts throughout generations. The theatre is the home of several amateur societies and has hosted the Waterford International Festival of Light Opera since its foundation in 1958. The origins of crystal production in Waterford date back as early as 1783 when George and William Penrose began producing extremely fine flint glass that became world-renowned. 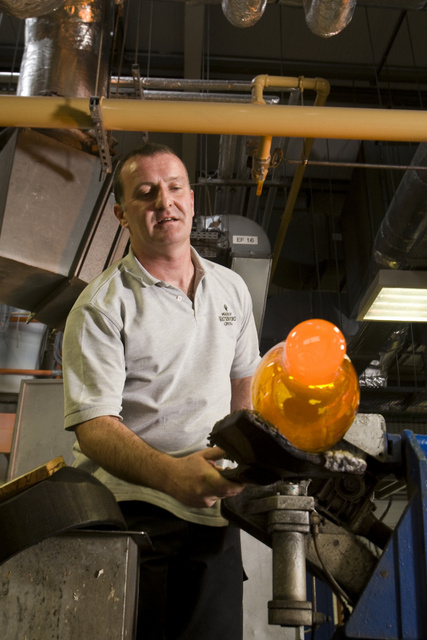 Waterford Crystal continues this tradition and its facility in the city offers visitors the opportunity to take guided tours of the glass making process from start to finish. 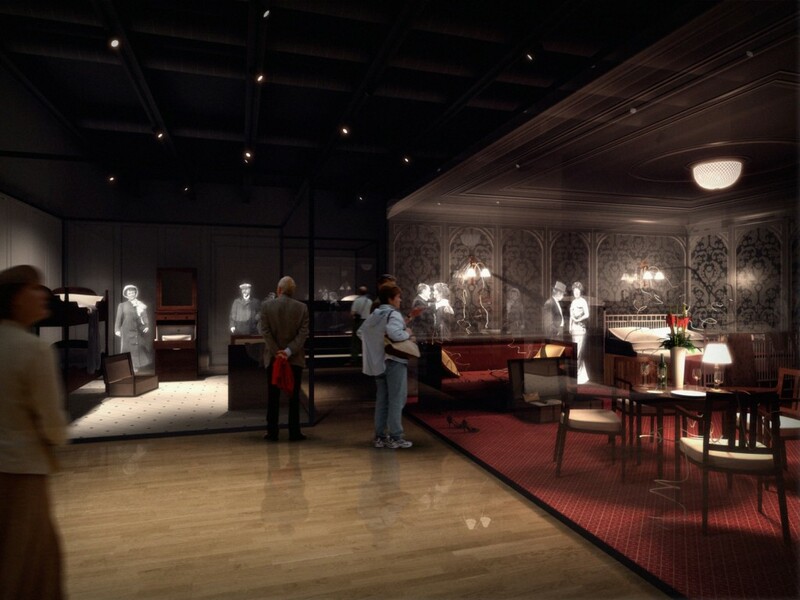 The on-site crystal store showcases the world’s largest collection of Waterford Crystal.